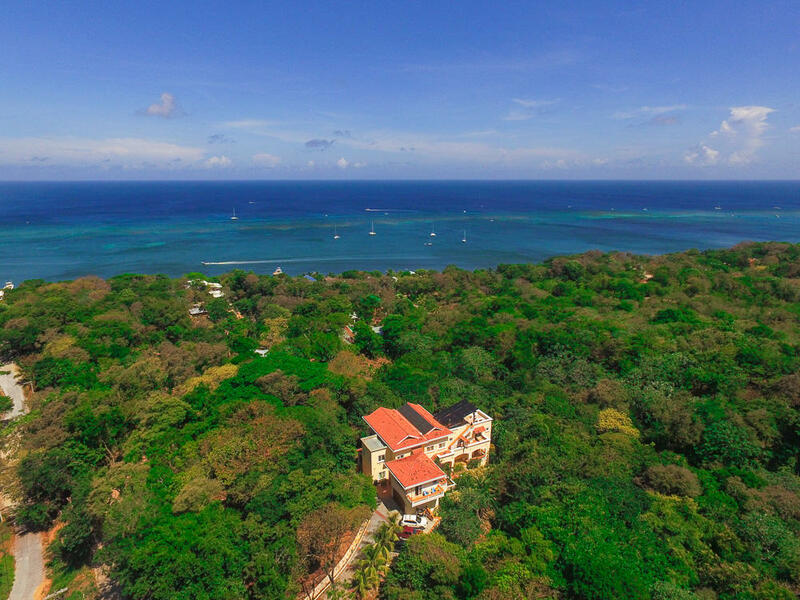 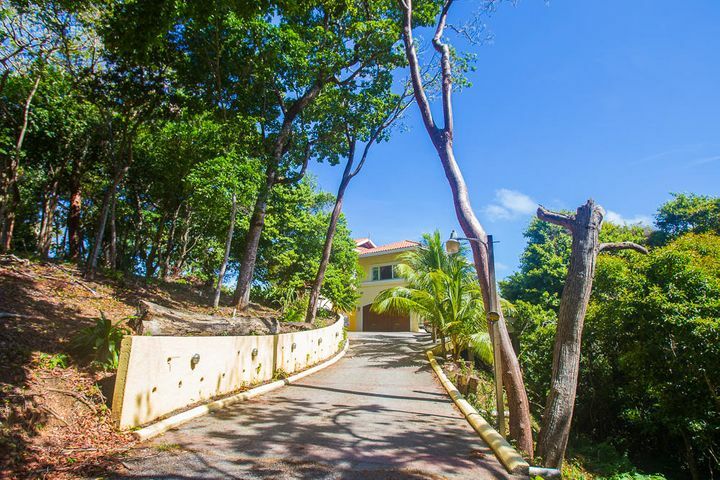 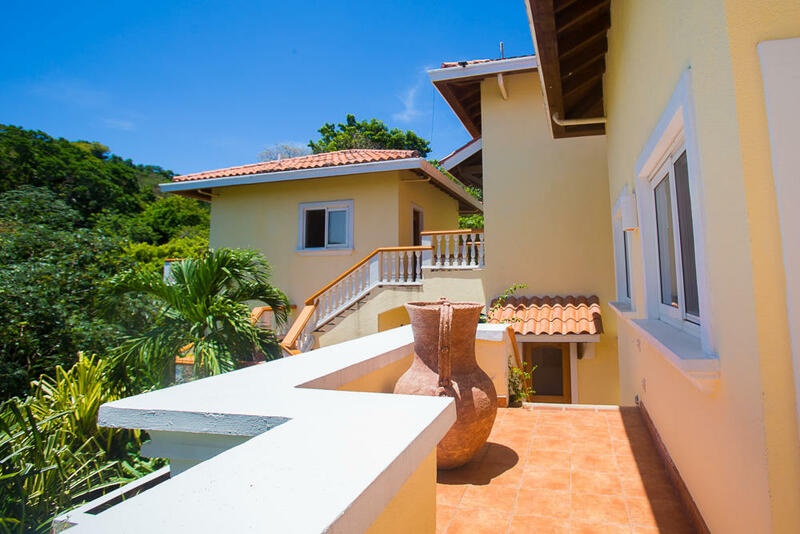 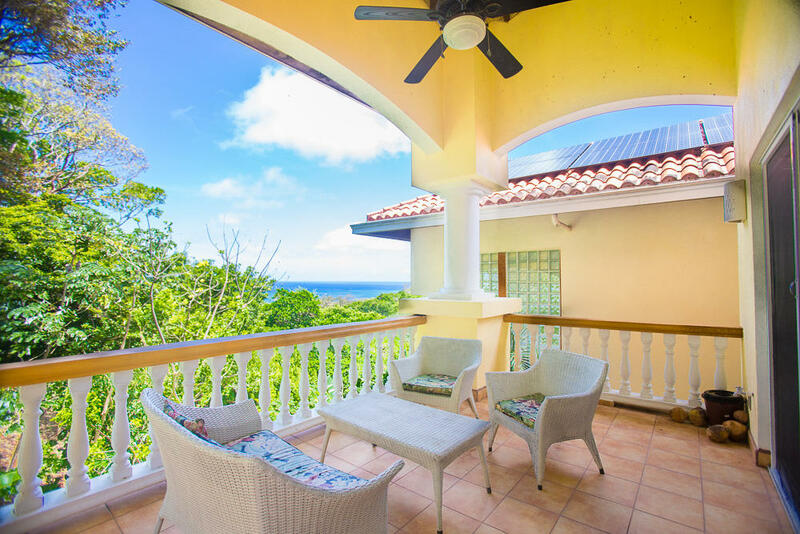 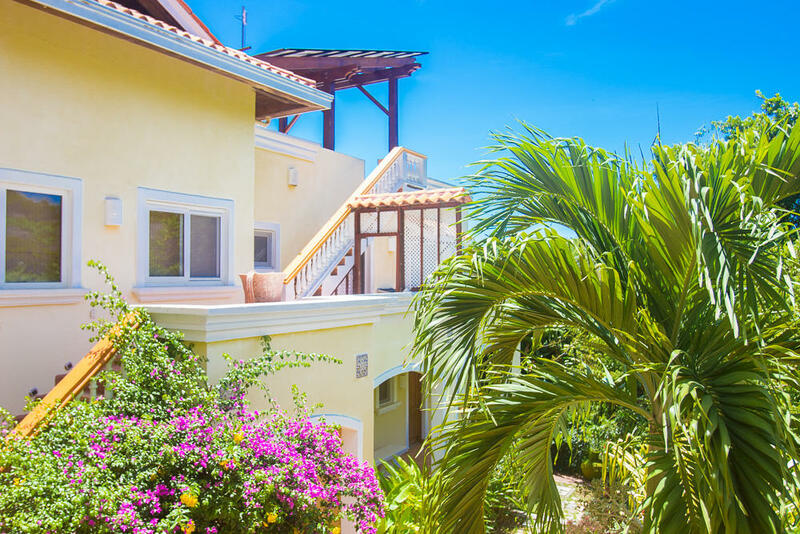 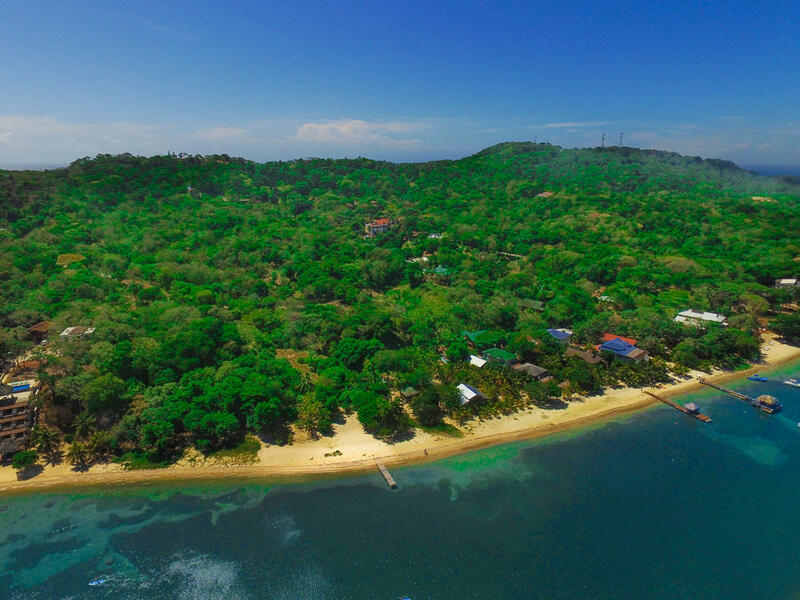 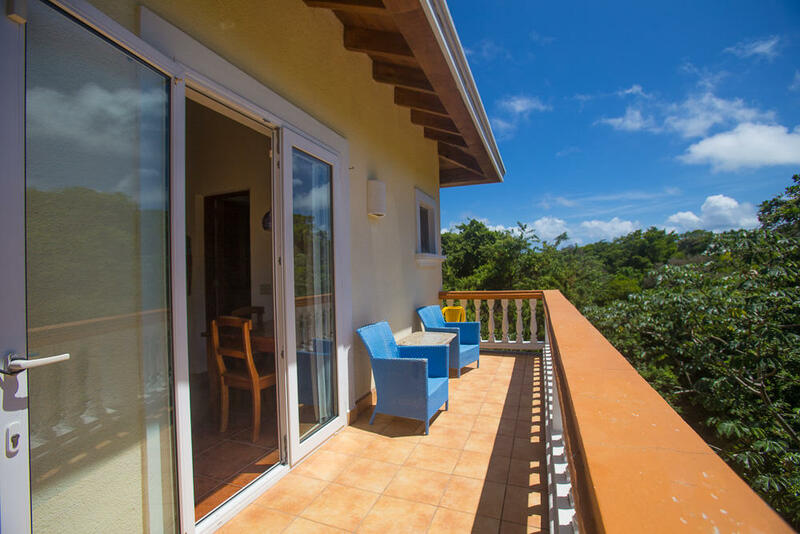 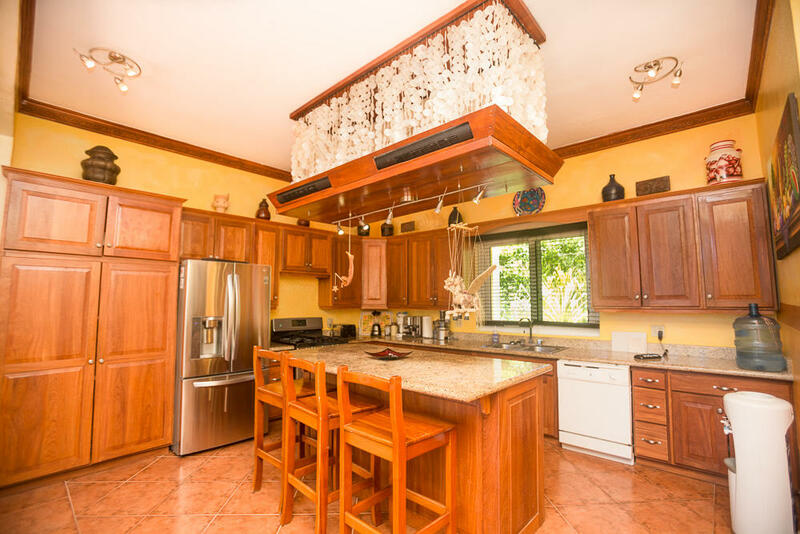 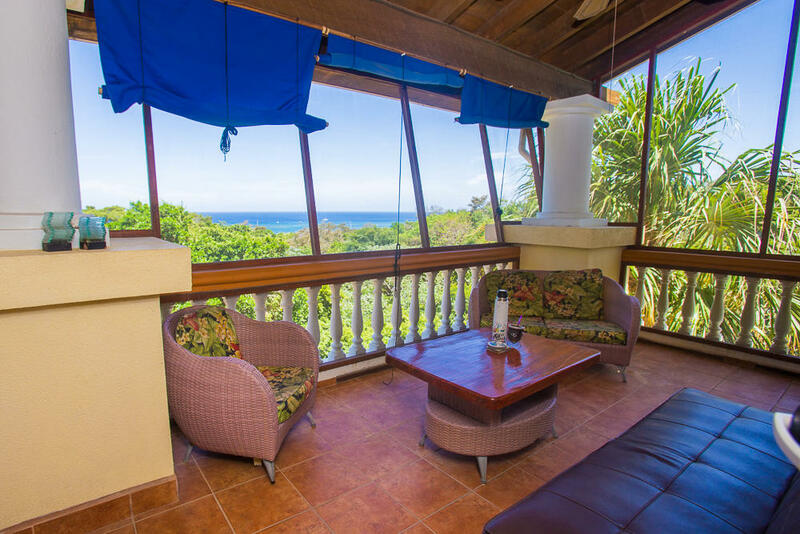 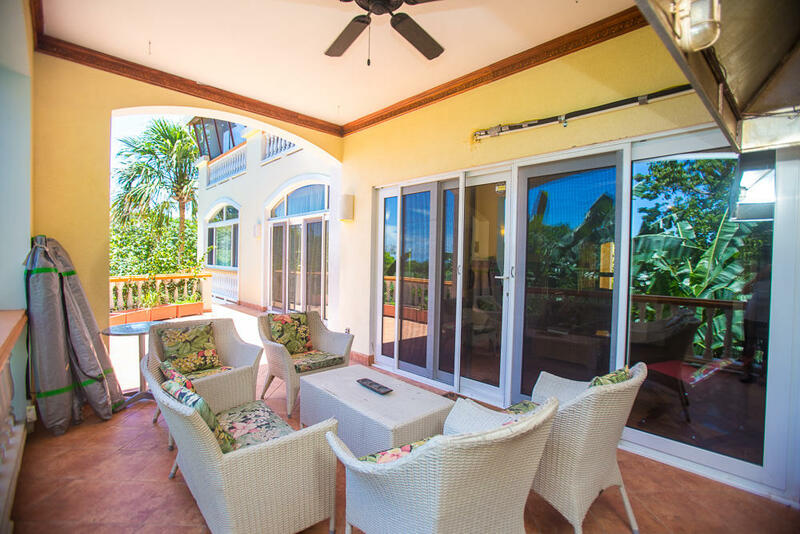 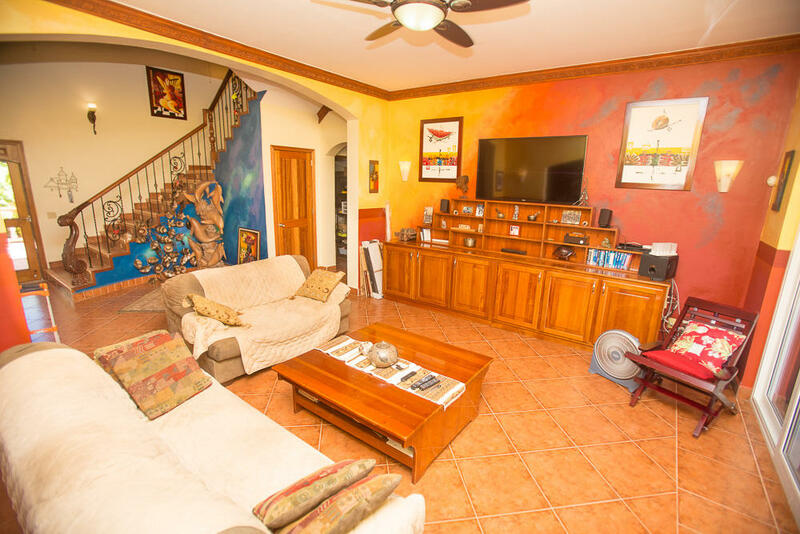 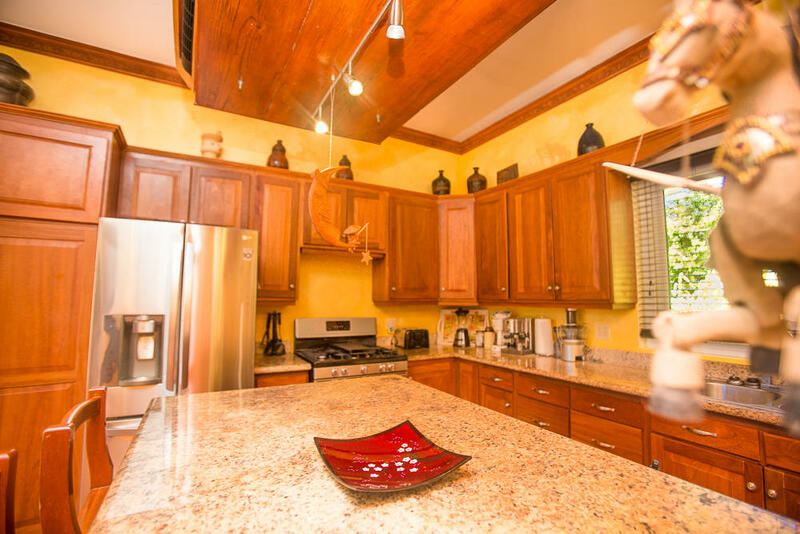 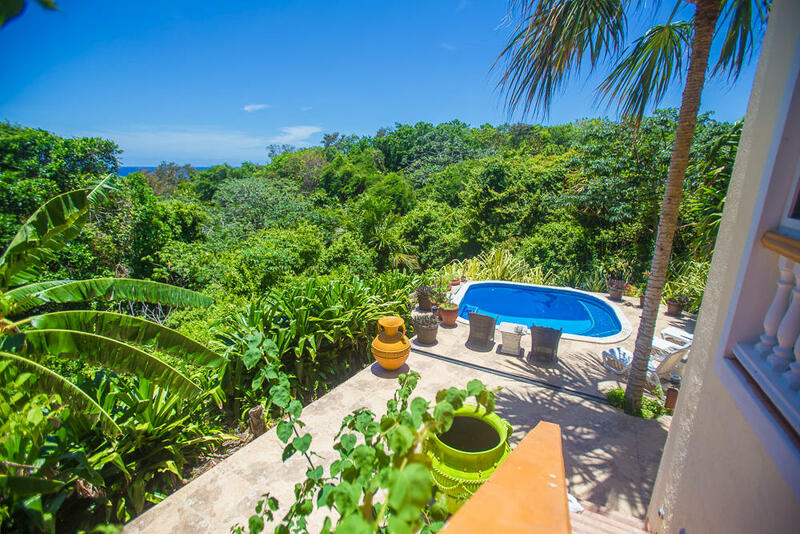 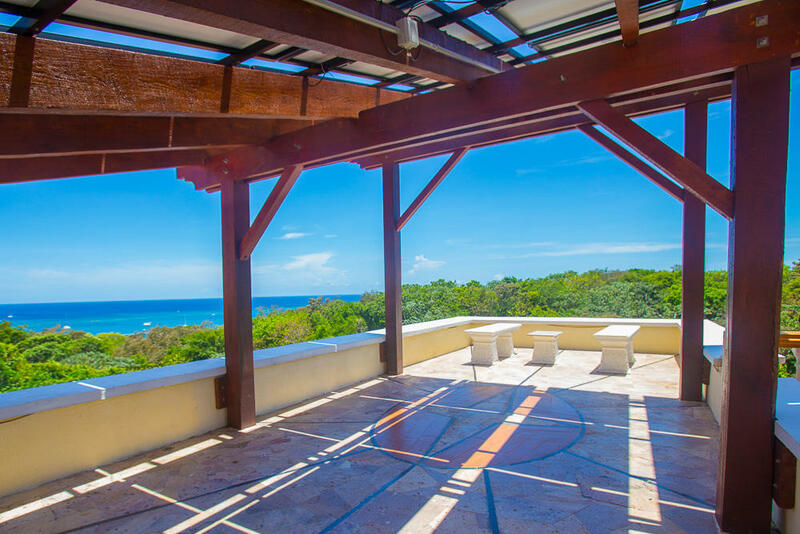 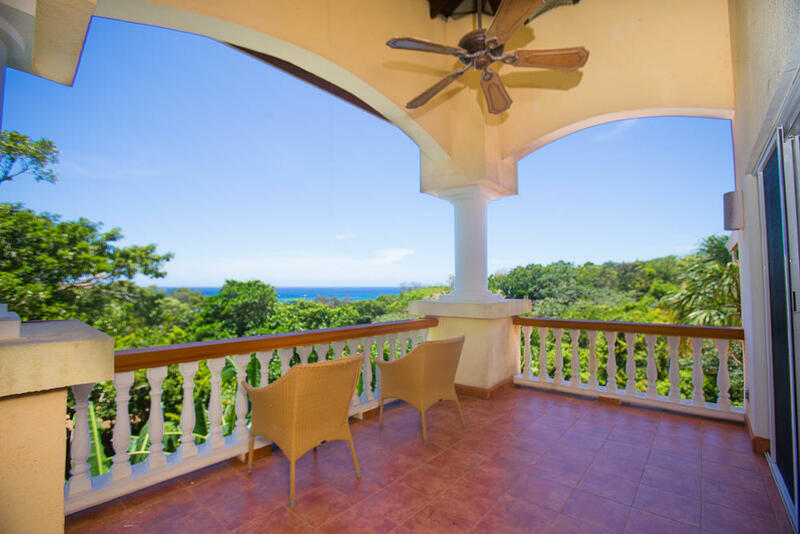 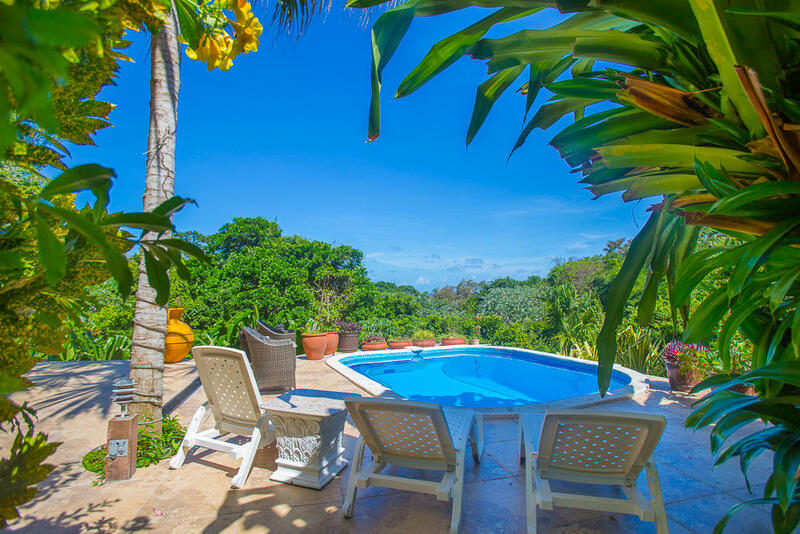 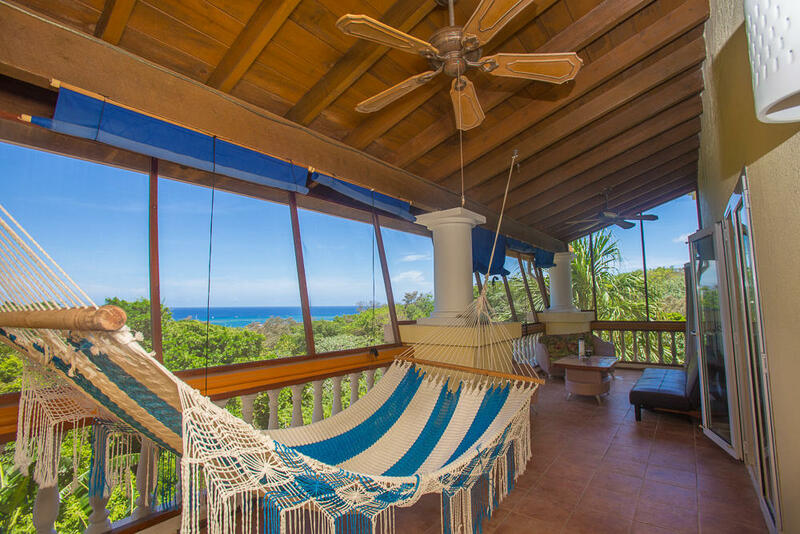 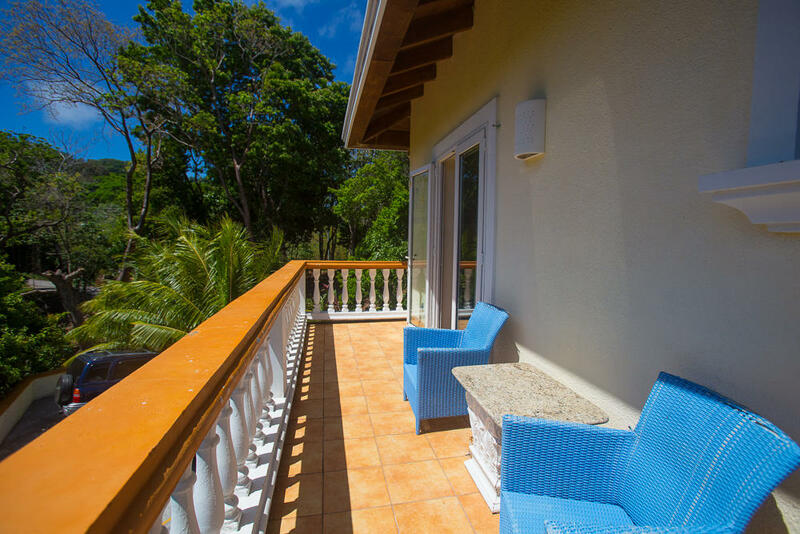 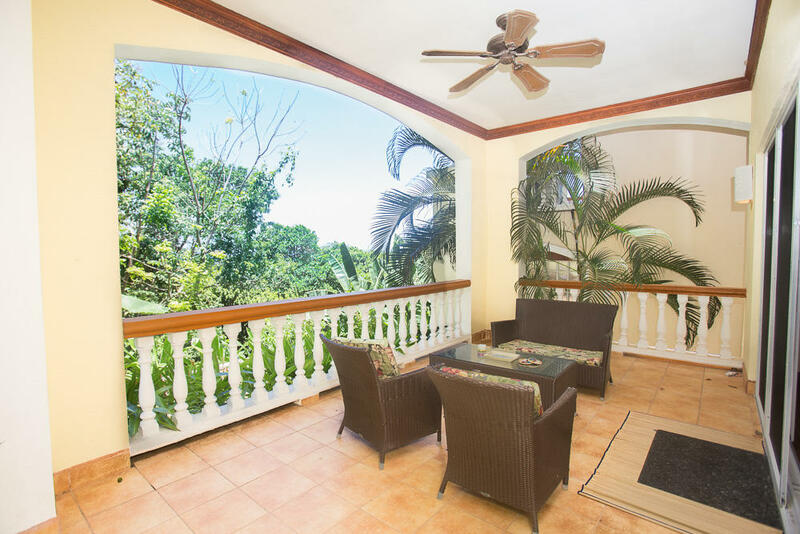 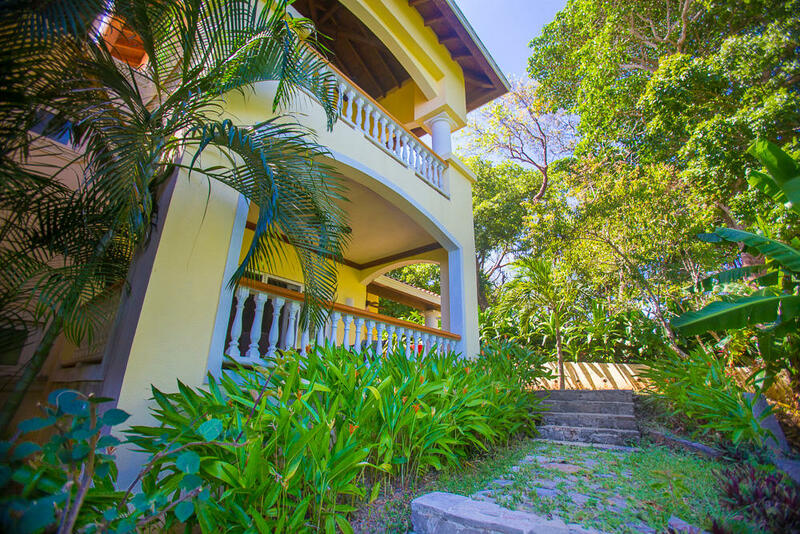 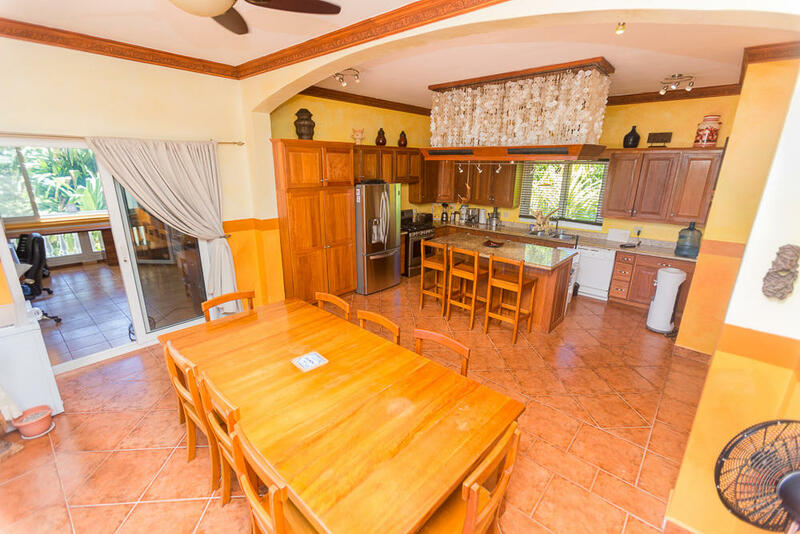 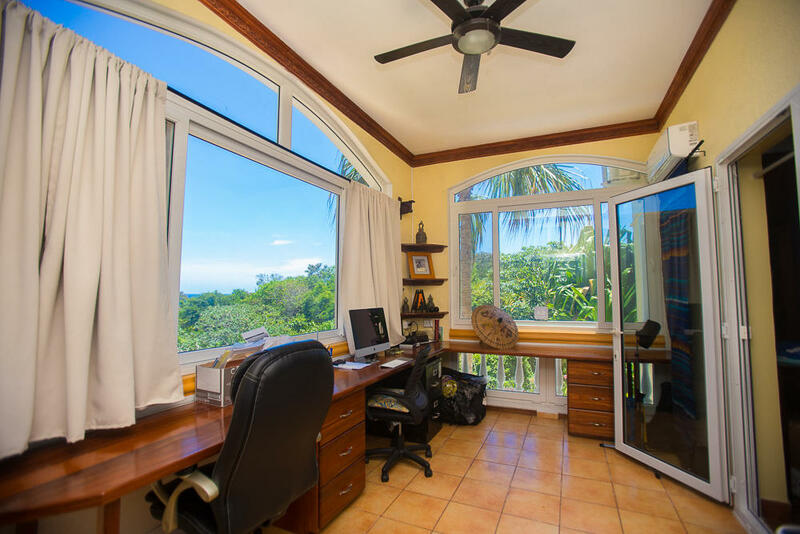 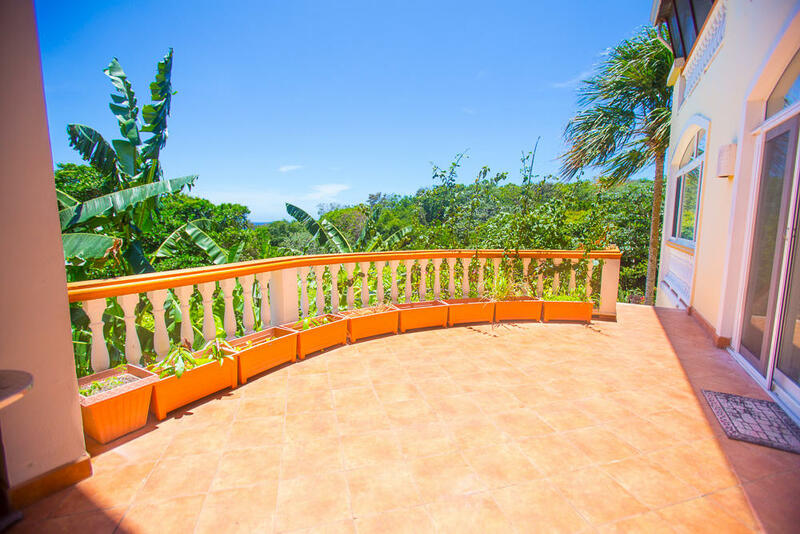 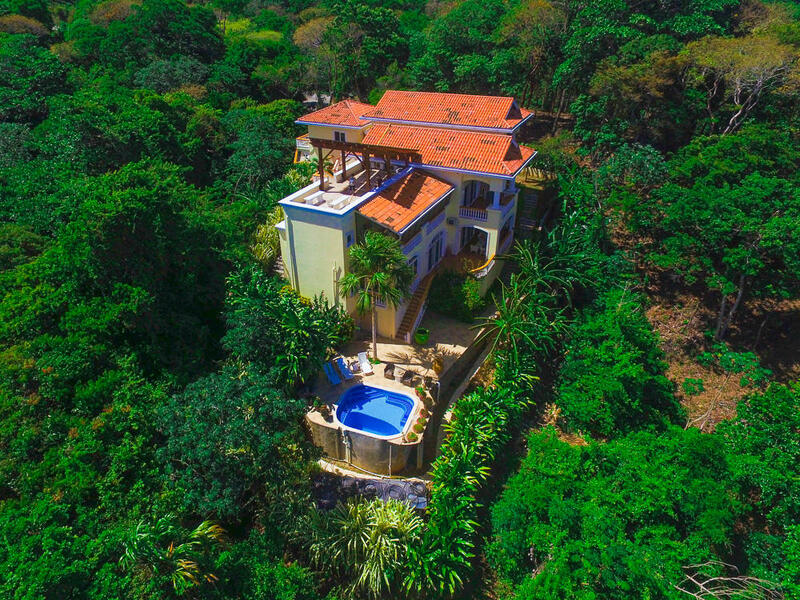 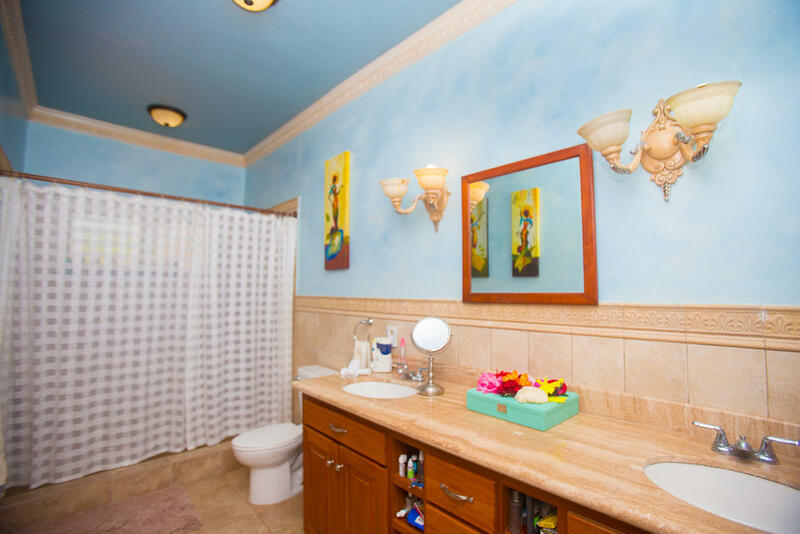 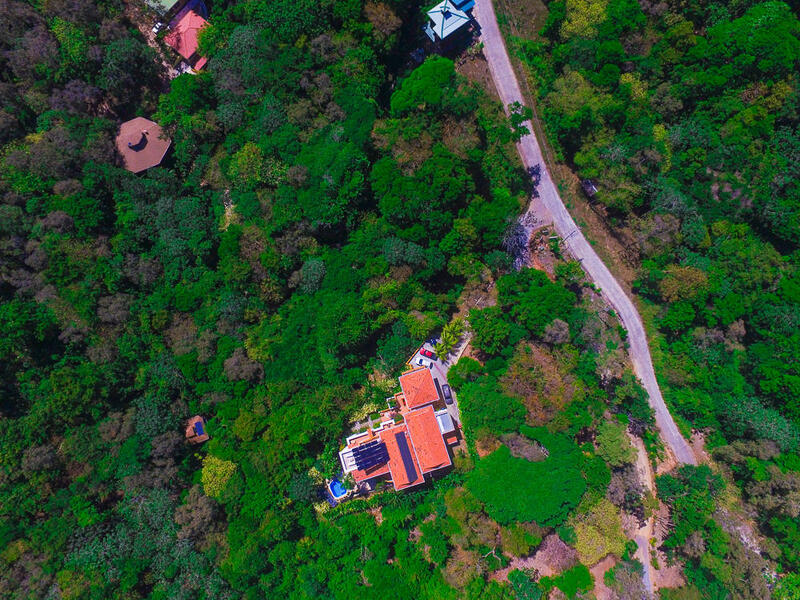 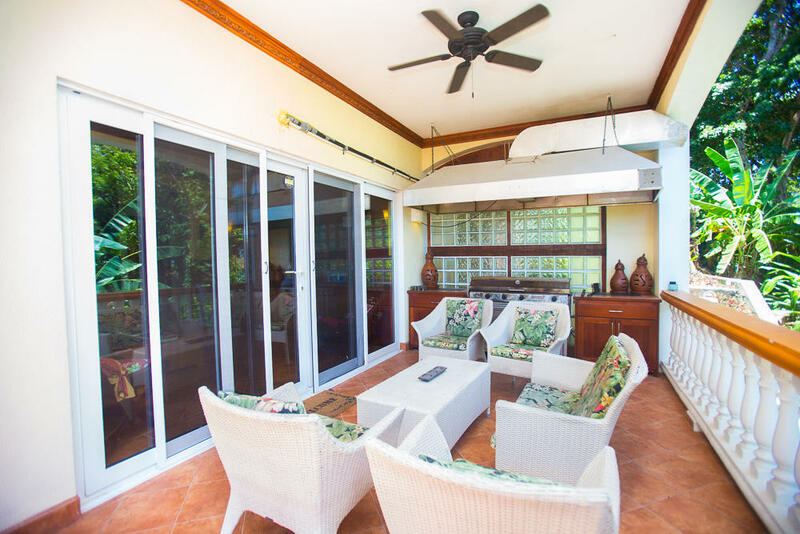 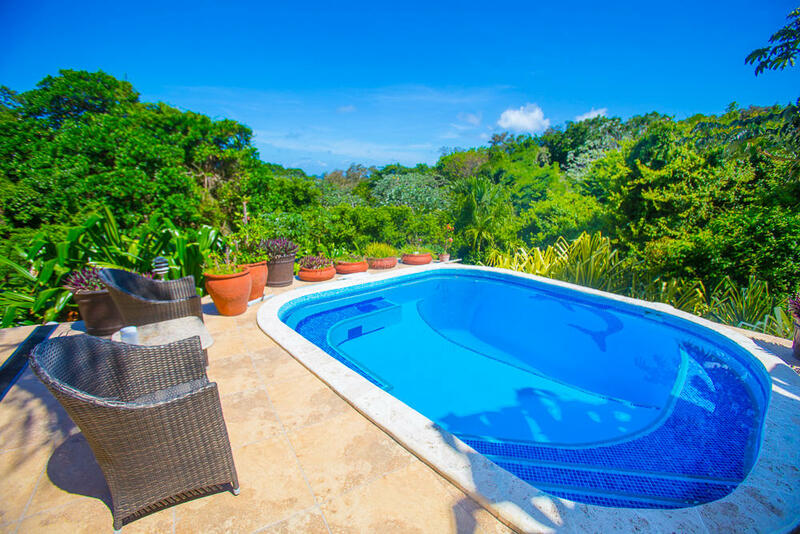 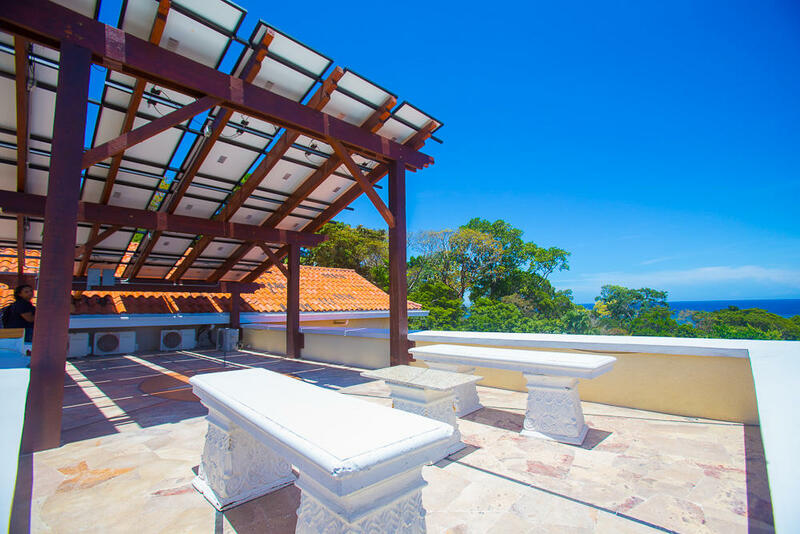 Stunning ocean view villa overlooking the north shore of Roatan. 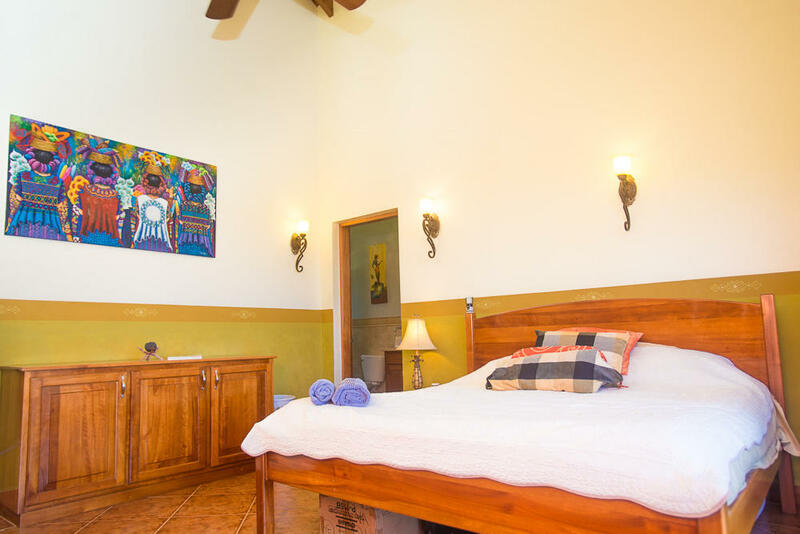 The main house includes 2 bedroom with ensuites. 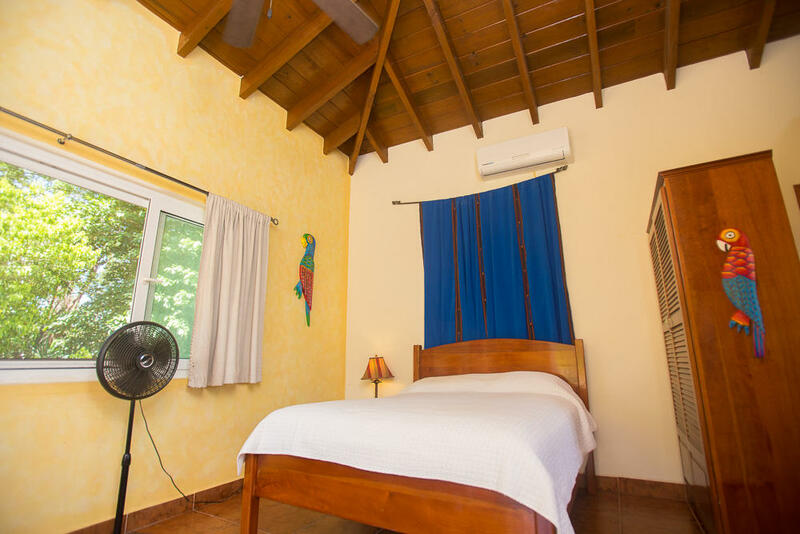 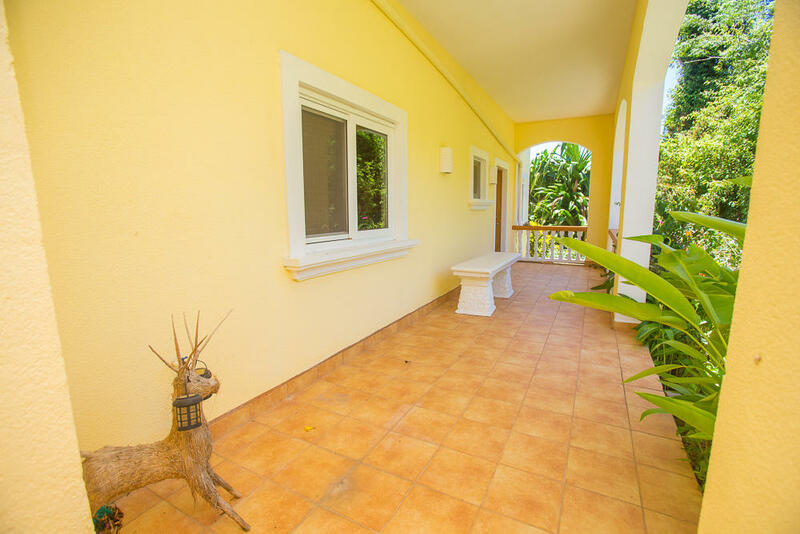 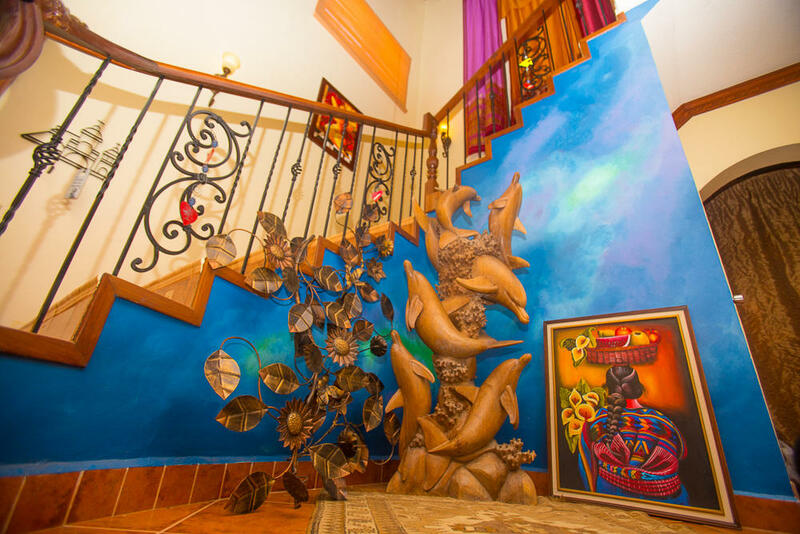 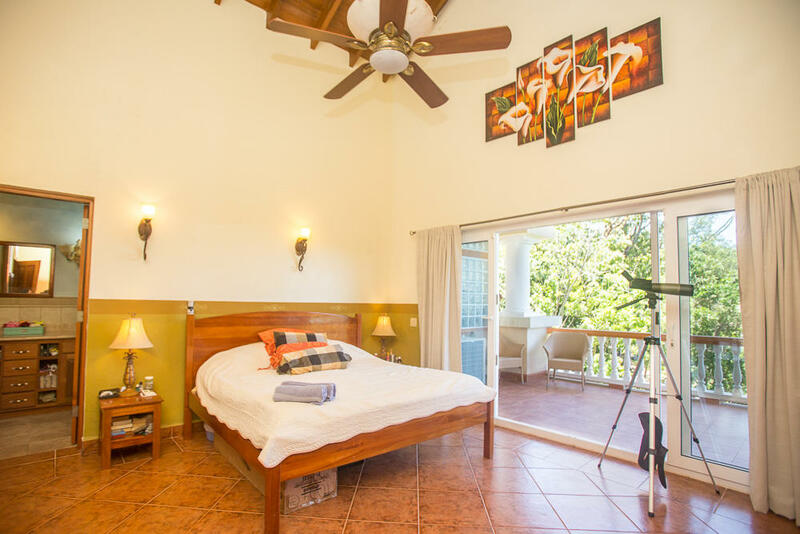 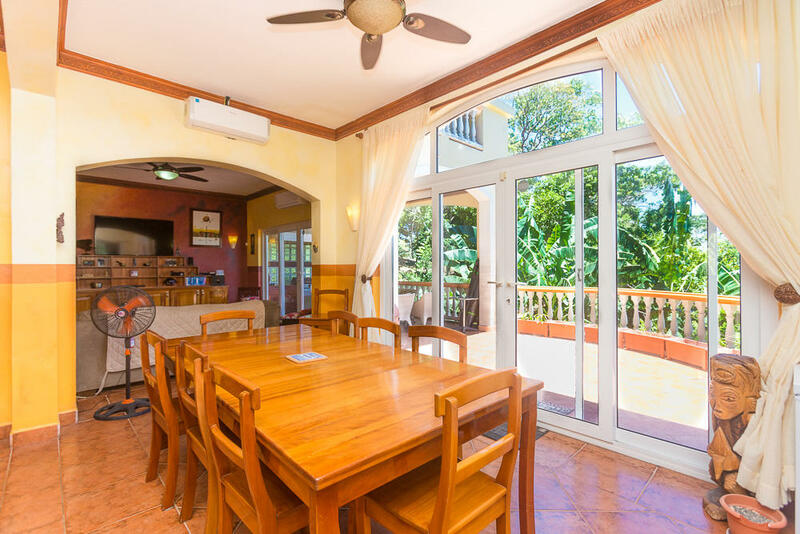 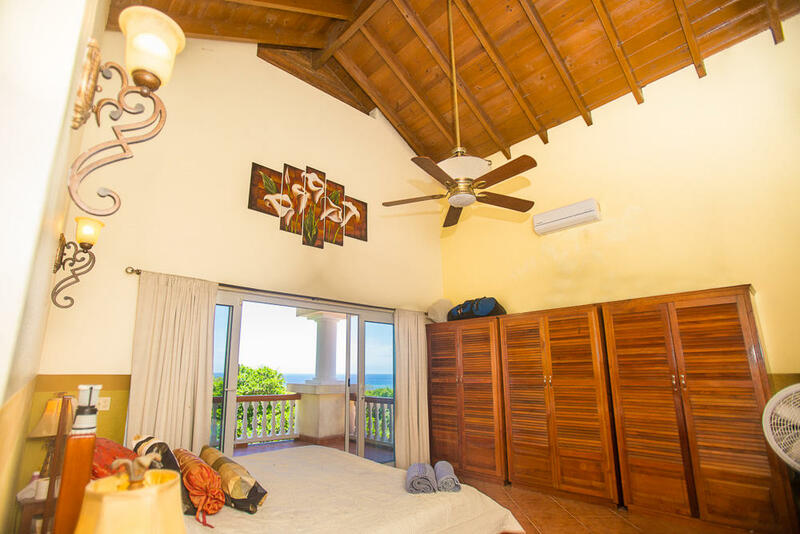 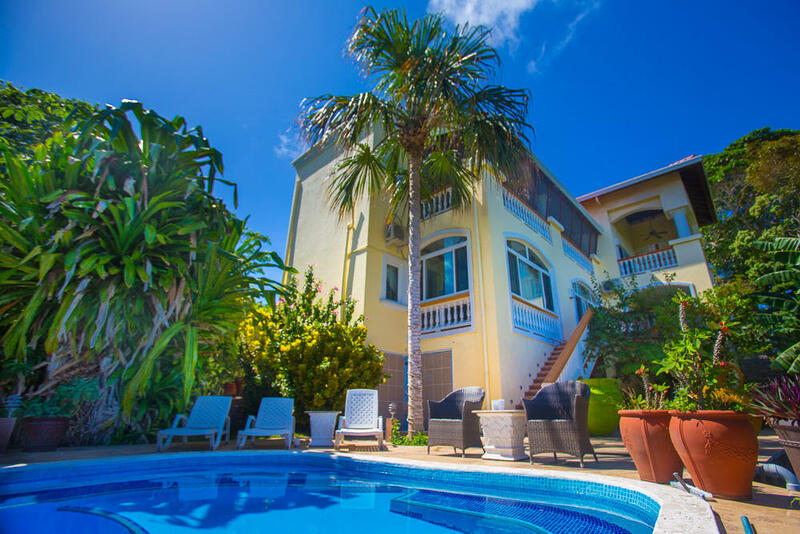 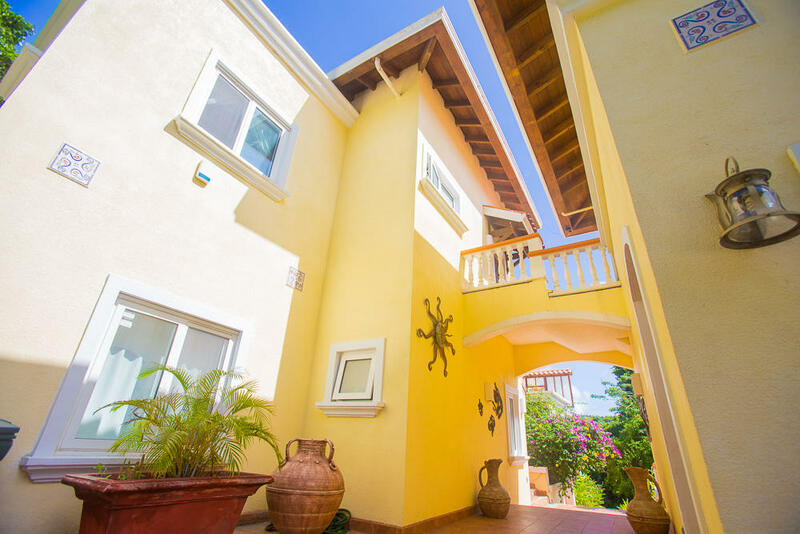 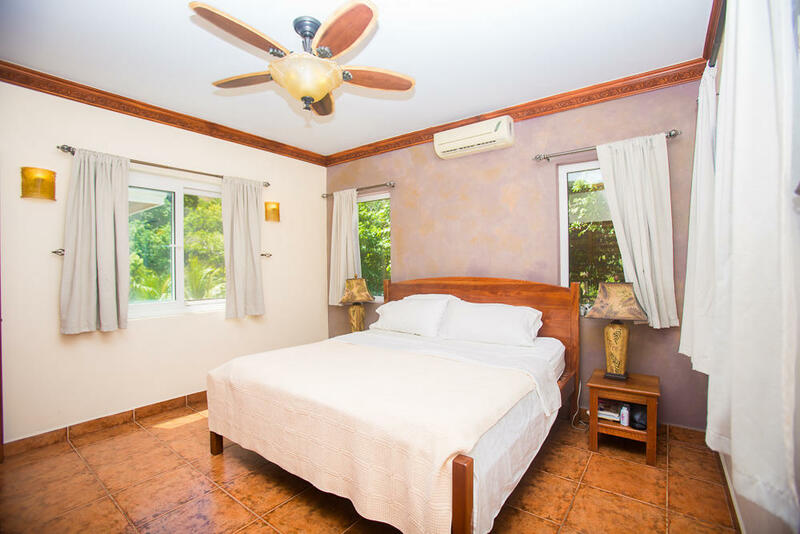 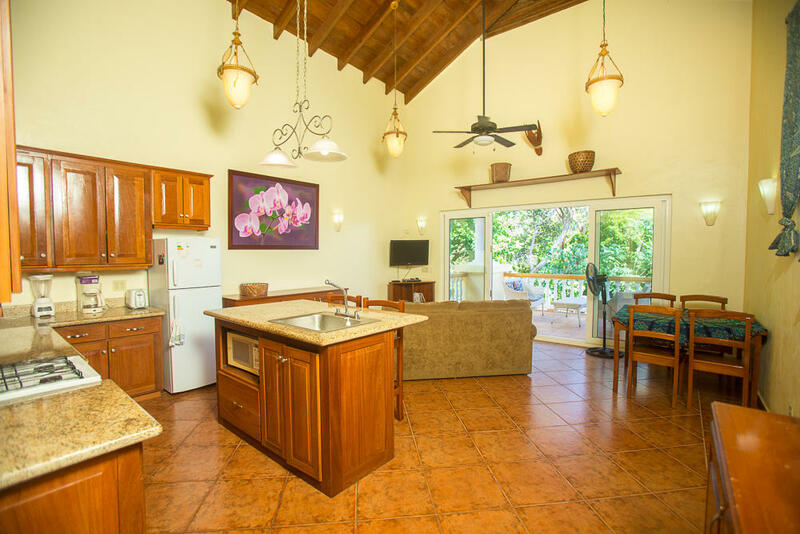 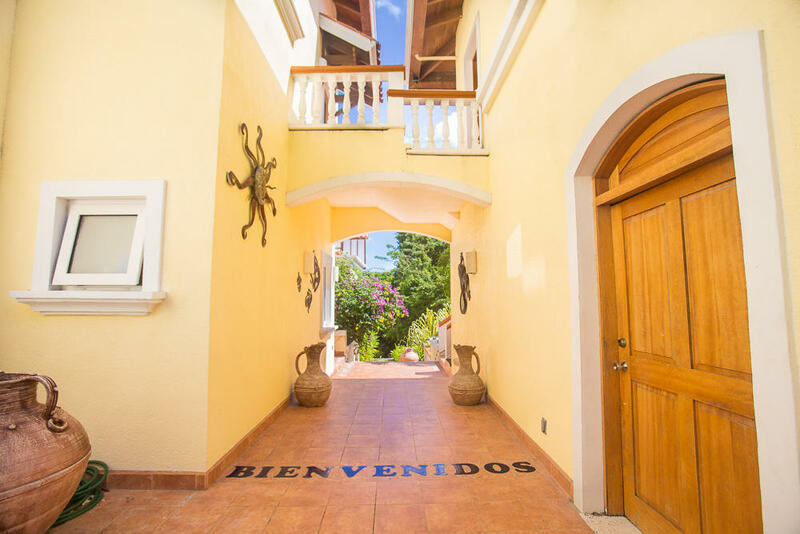 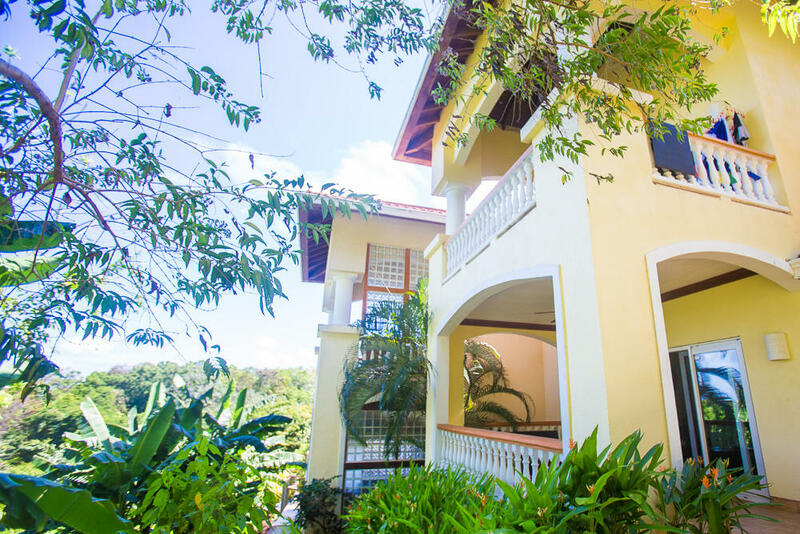 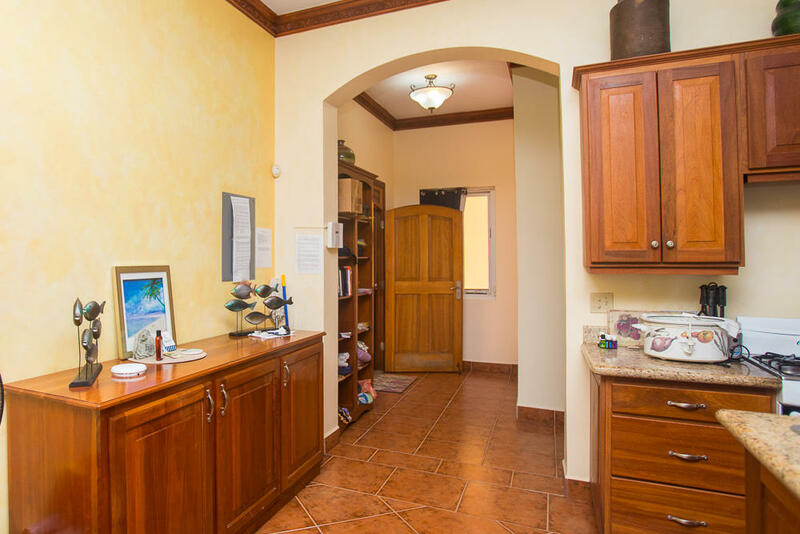 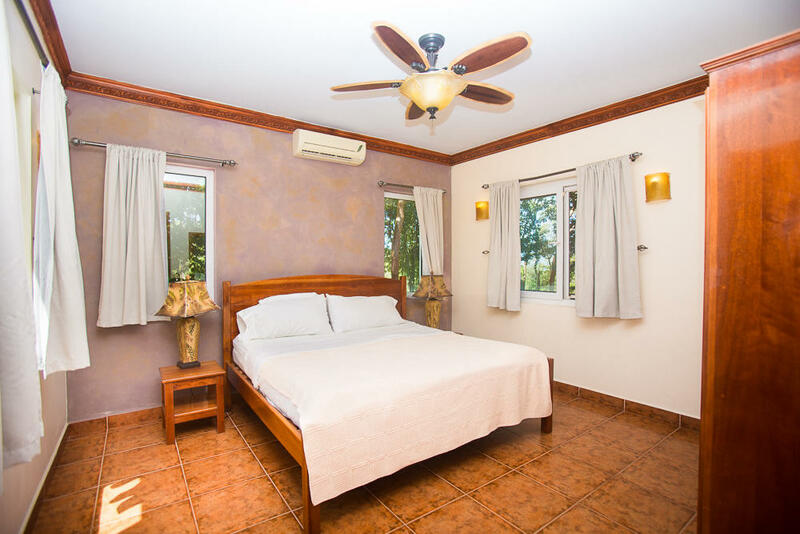 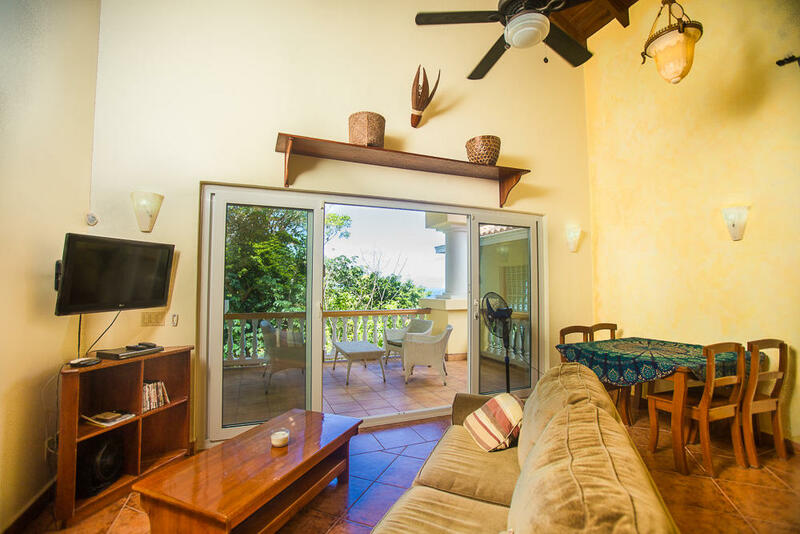 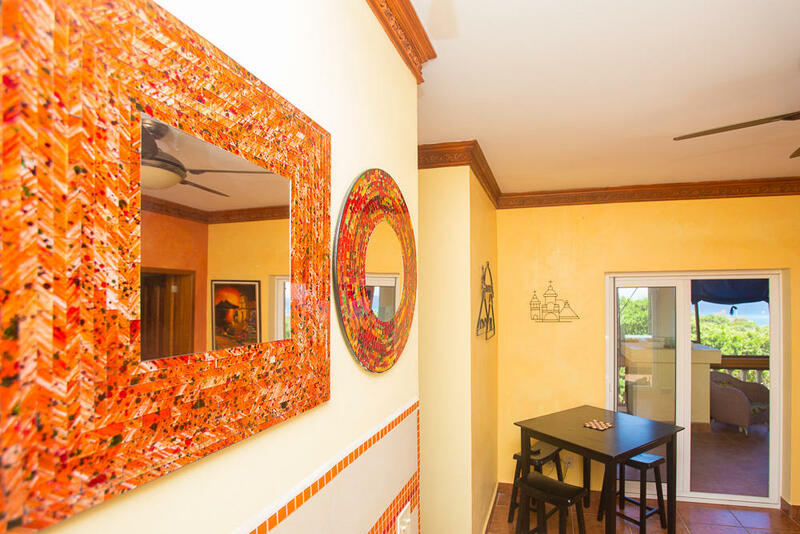 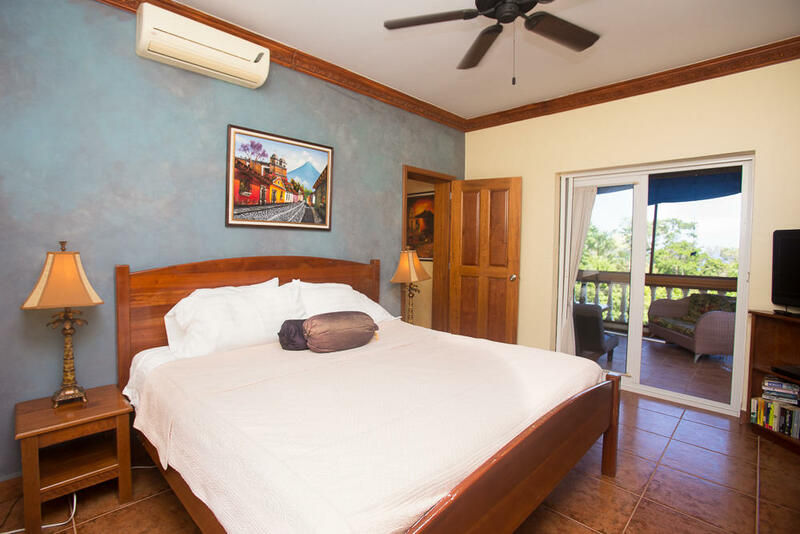 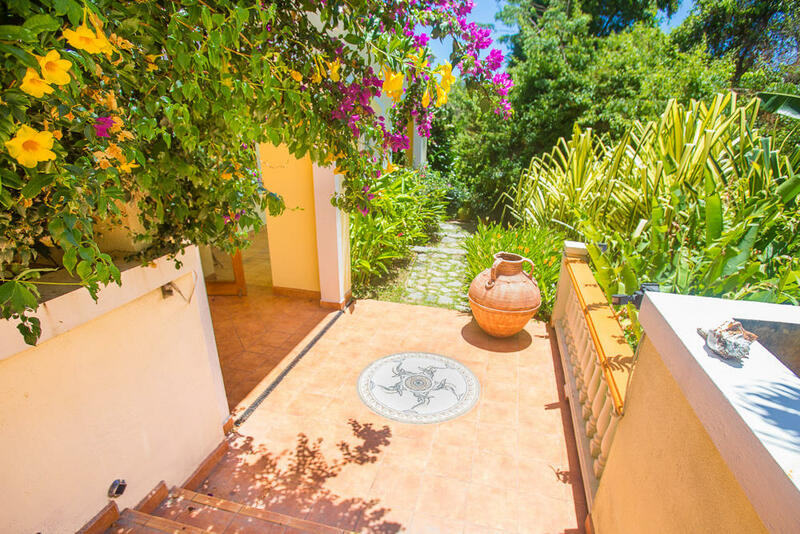 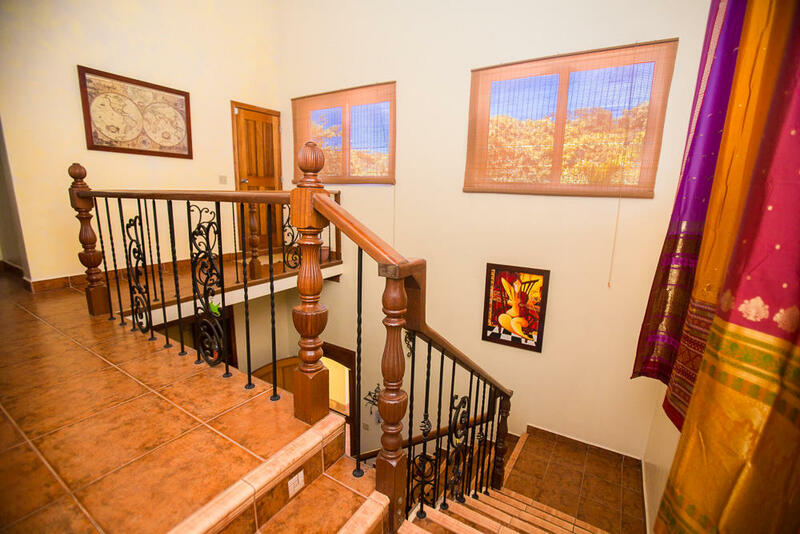 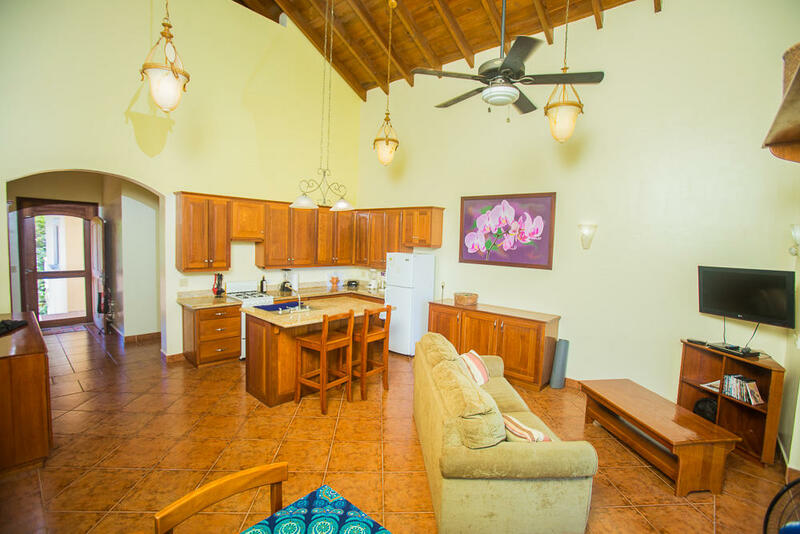 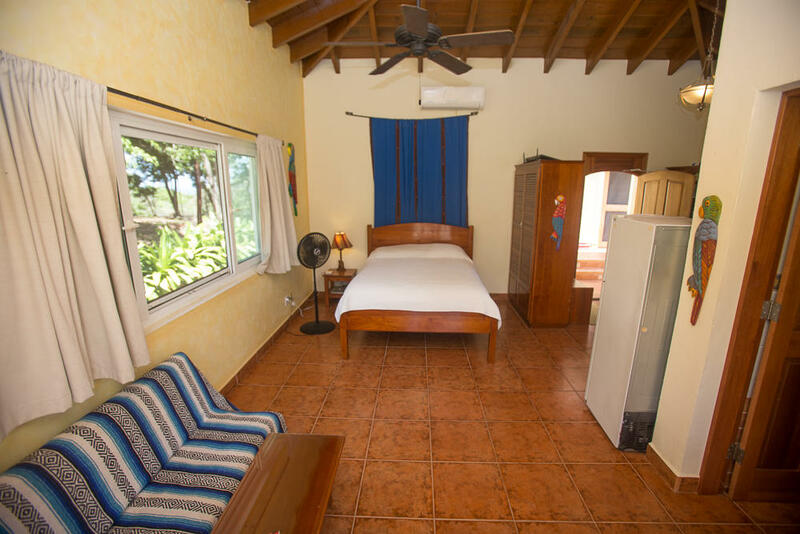 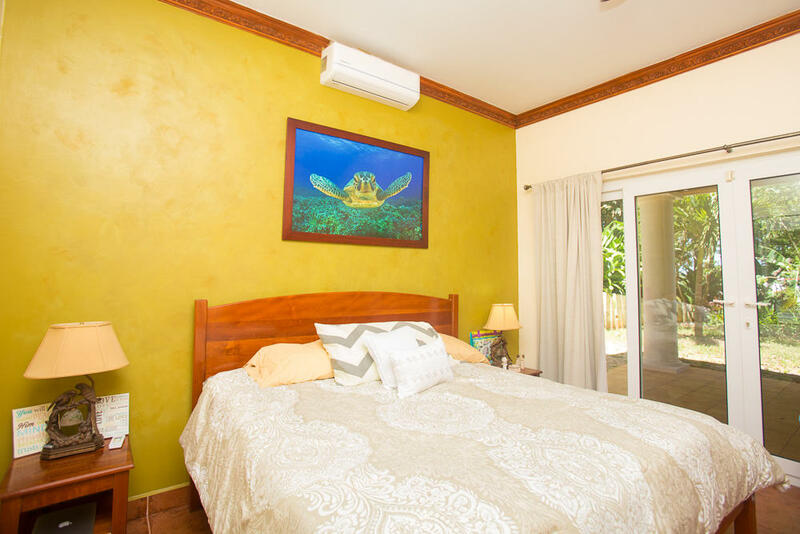 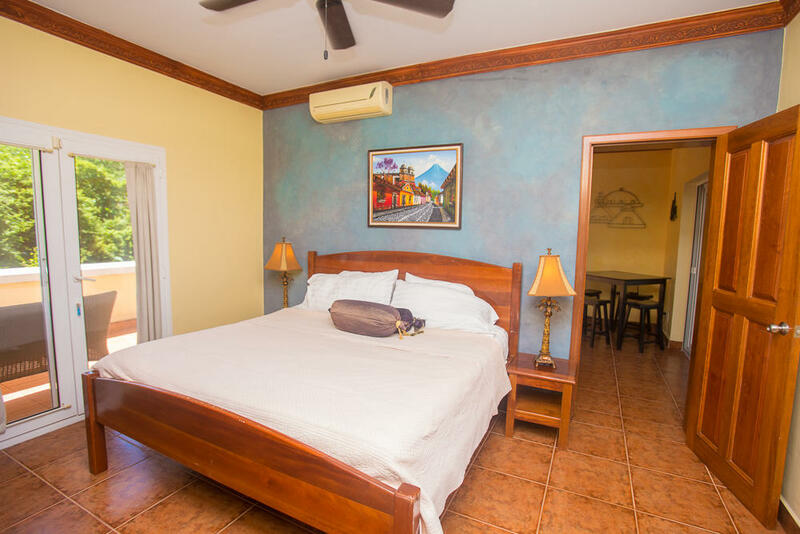 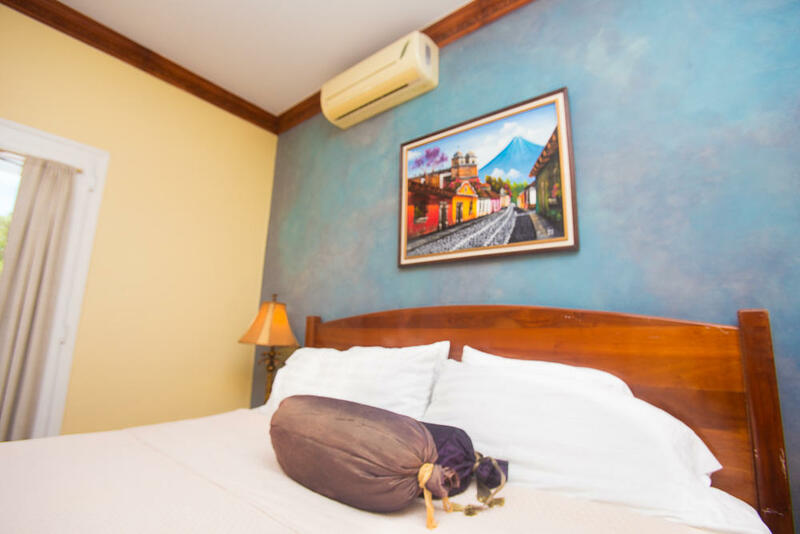 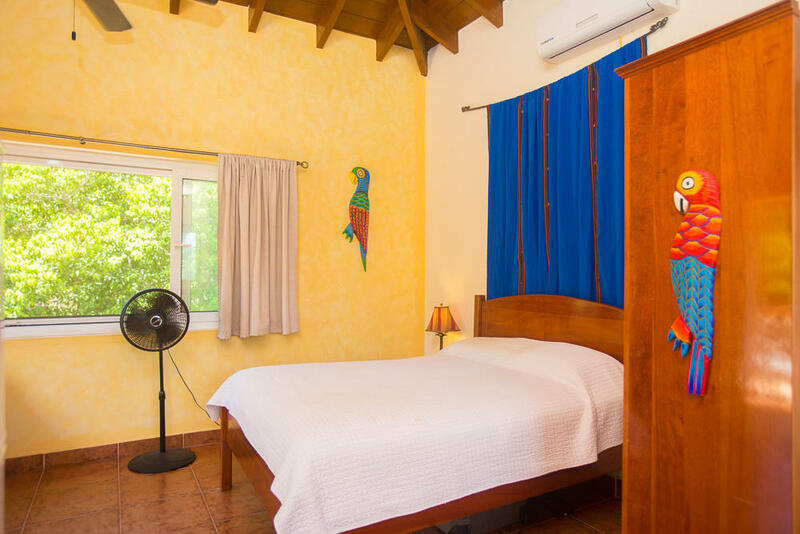 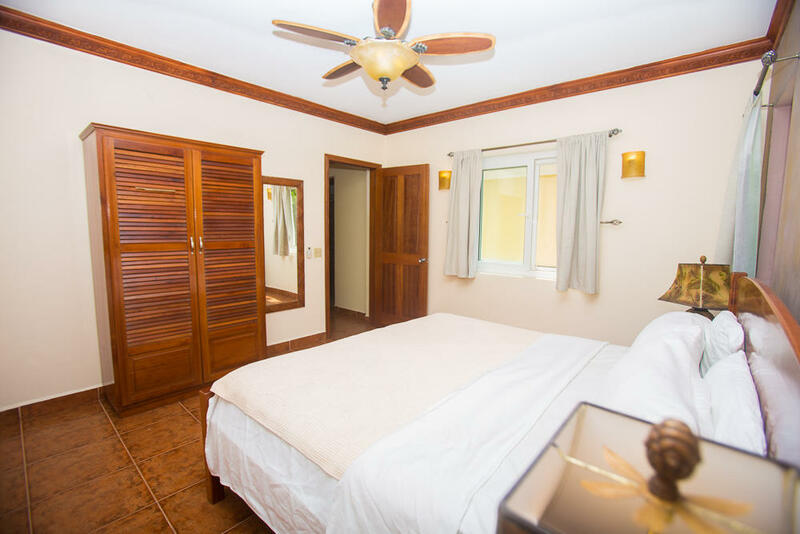 Also included in this villa are 3 One Bedroom apartments and a studio apartment which can be rented separately or together for larger groups. 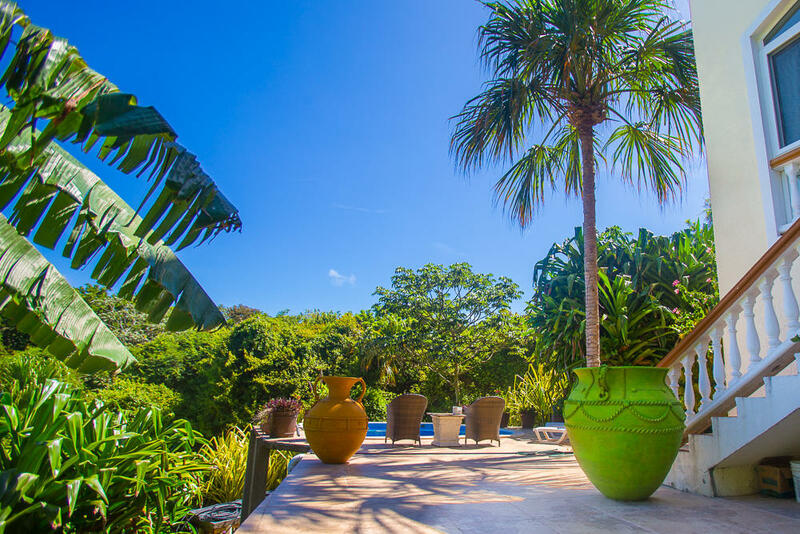 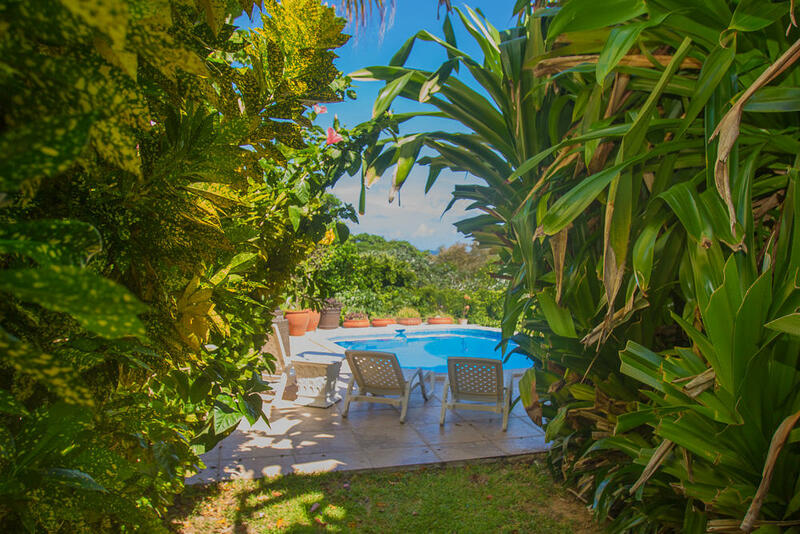 A large pool area offers guests a tranquil spot to sit back and relax, surrounded by lush jungles and ocean views. 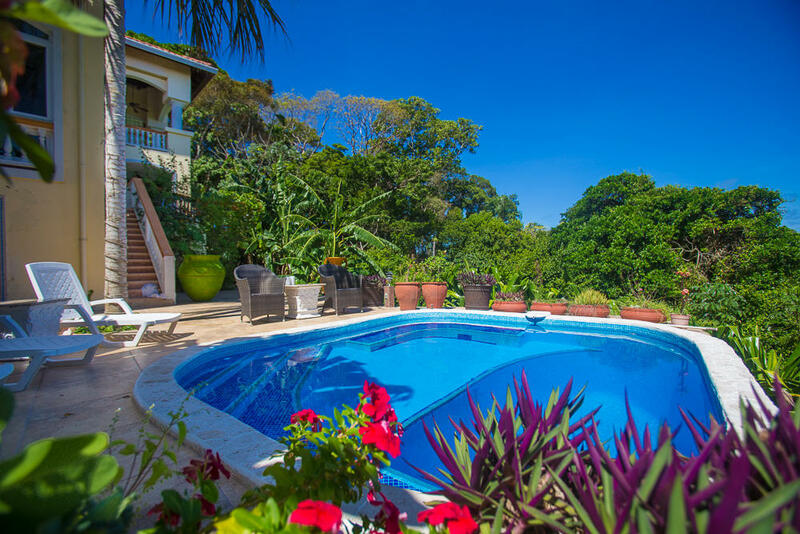 Enjoy sunsets 365 days of the year. 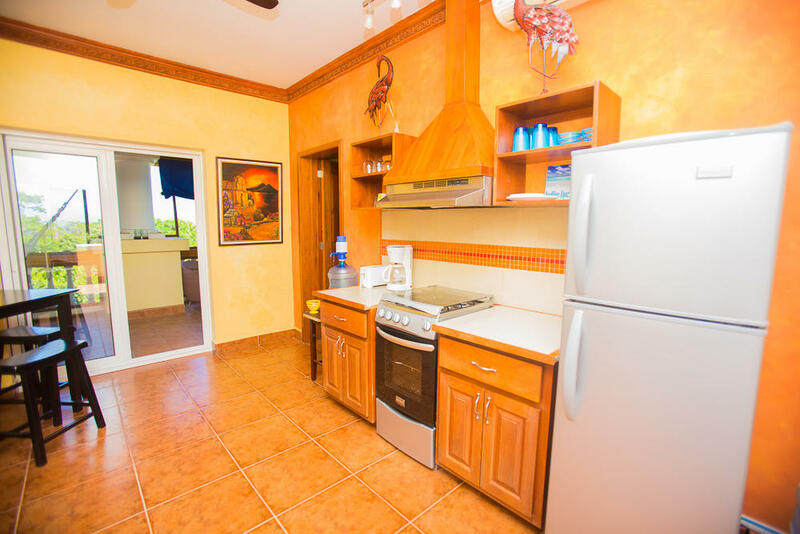 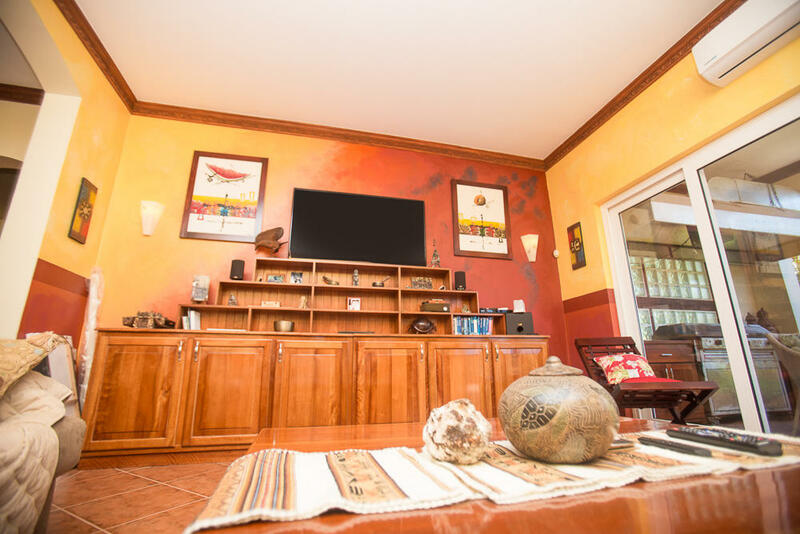 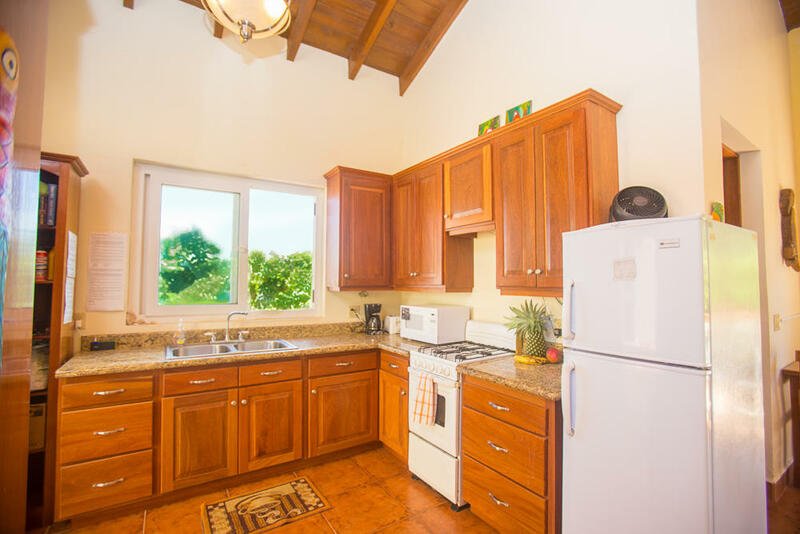 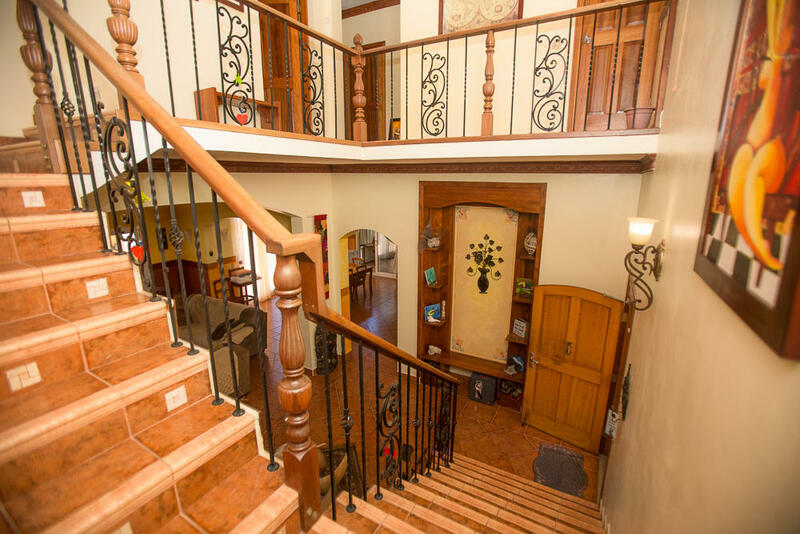 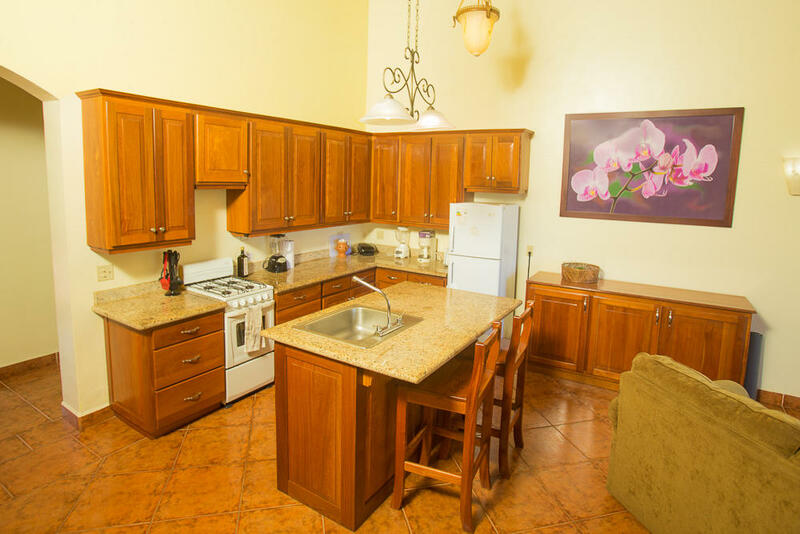 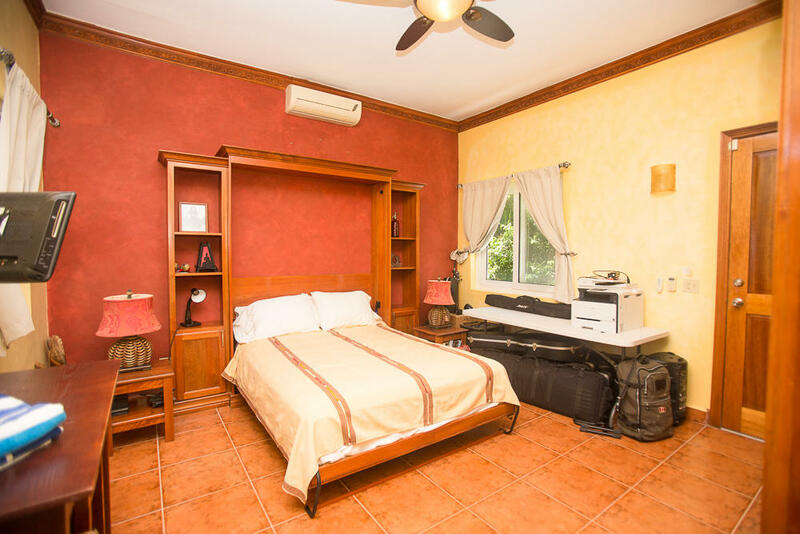 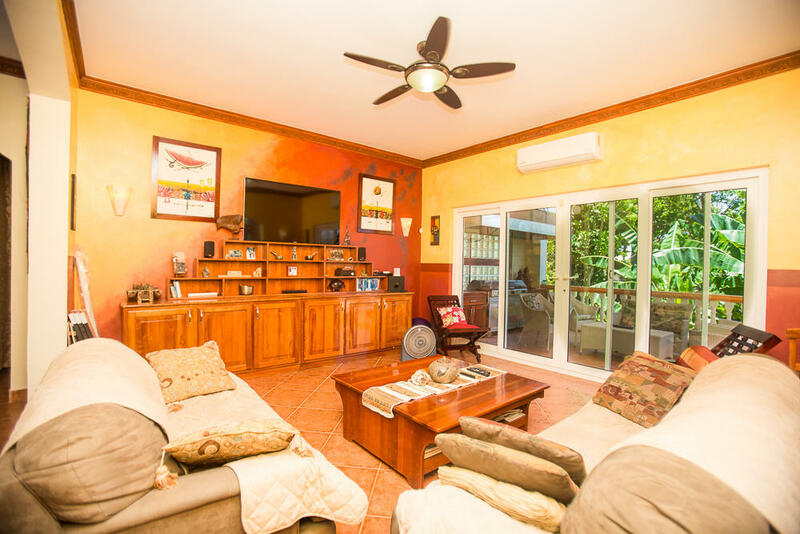 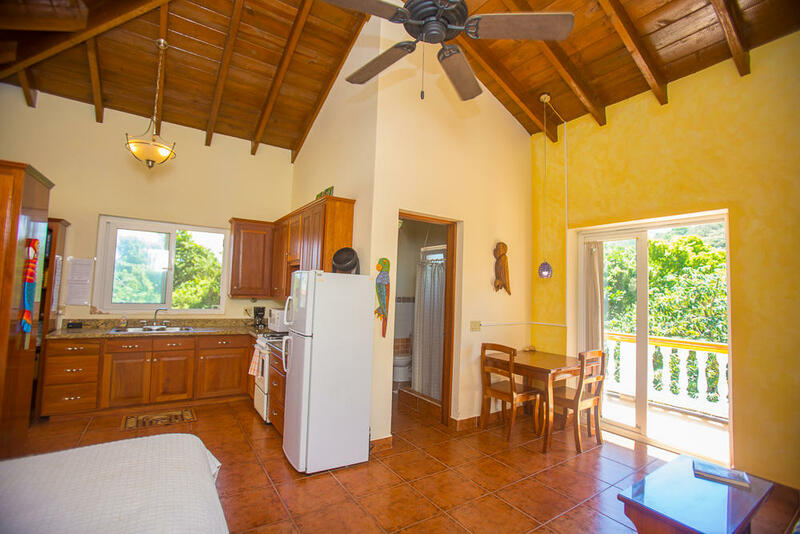 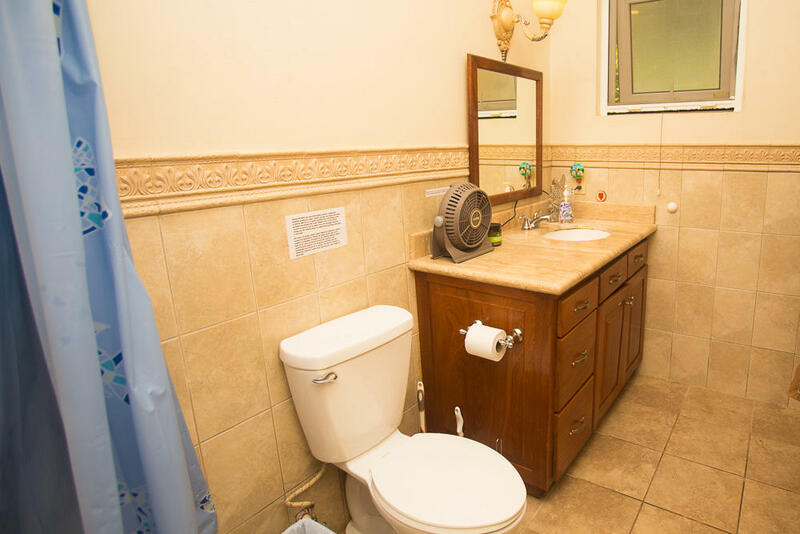 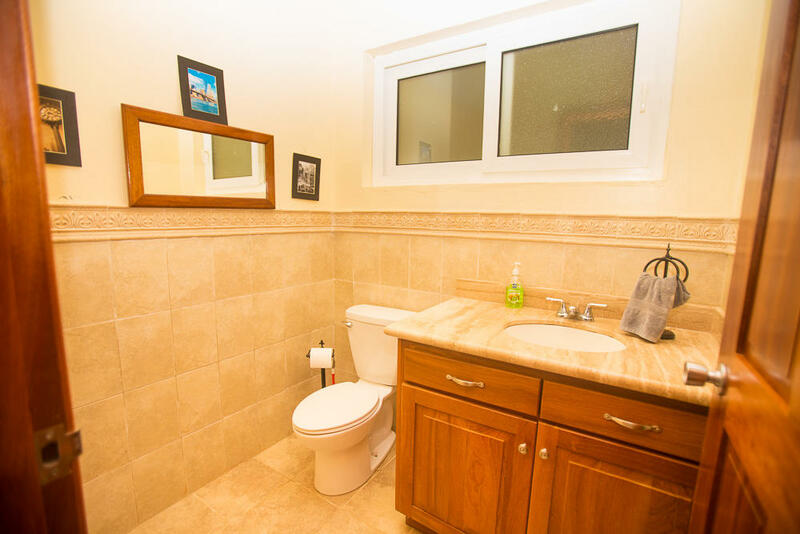 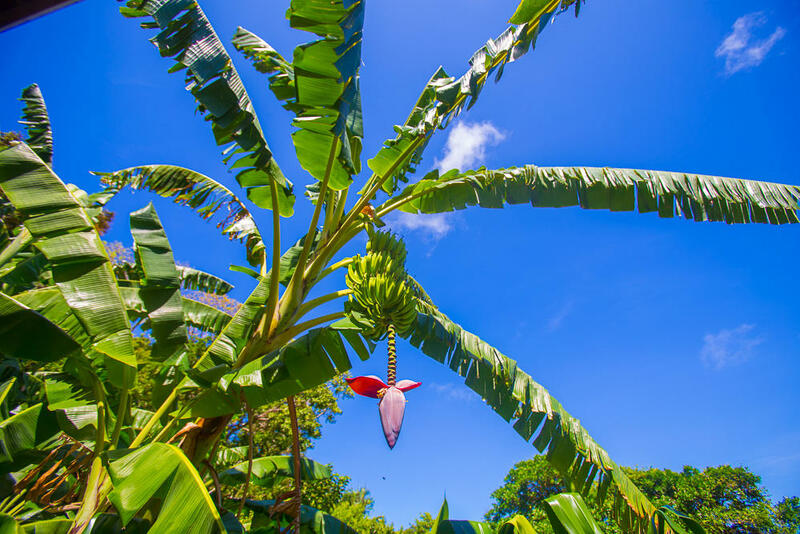 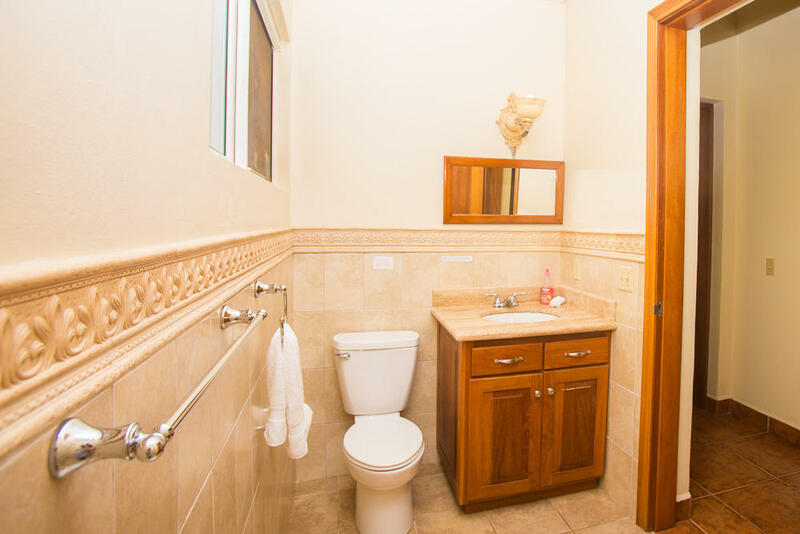 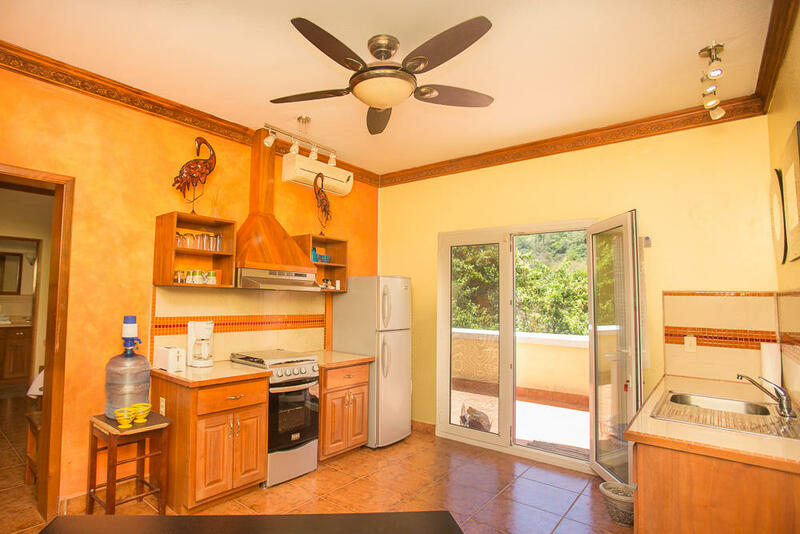 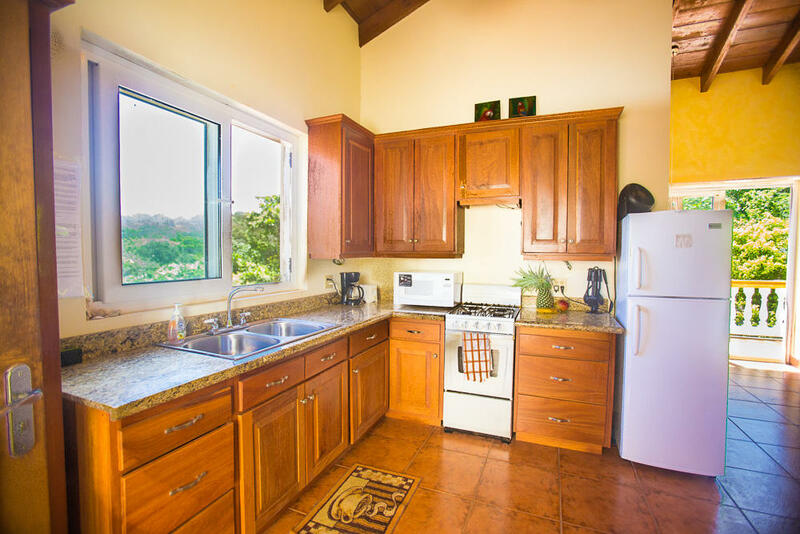 This income generating property is turn key furnished. 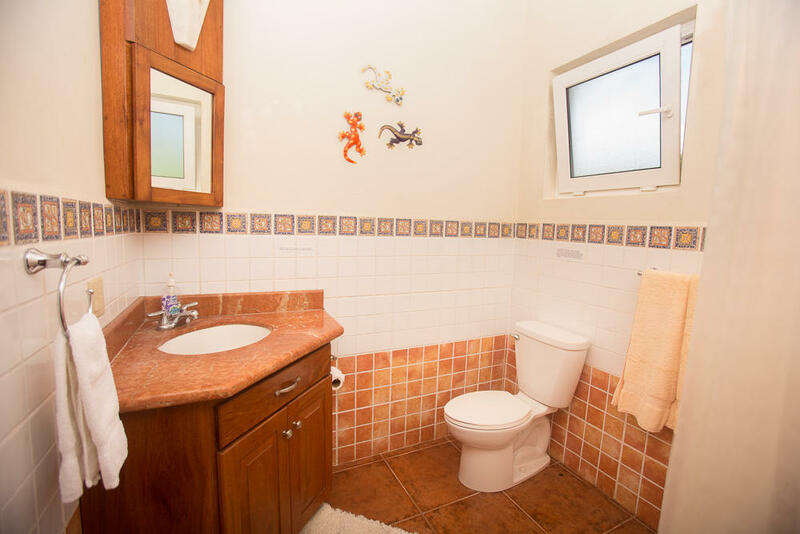 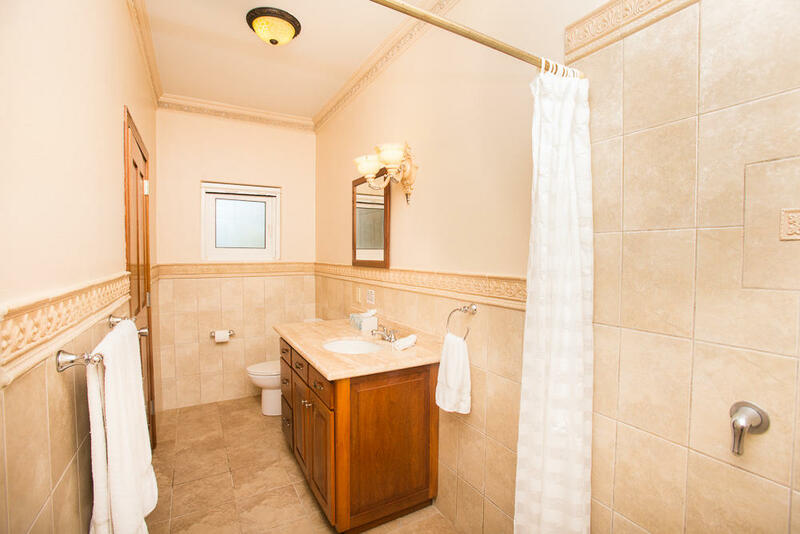 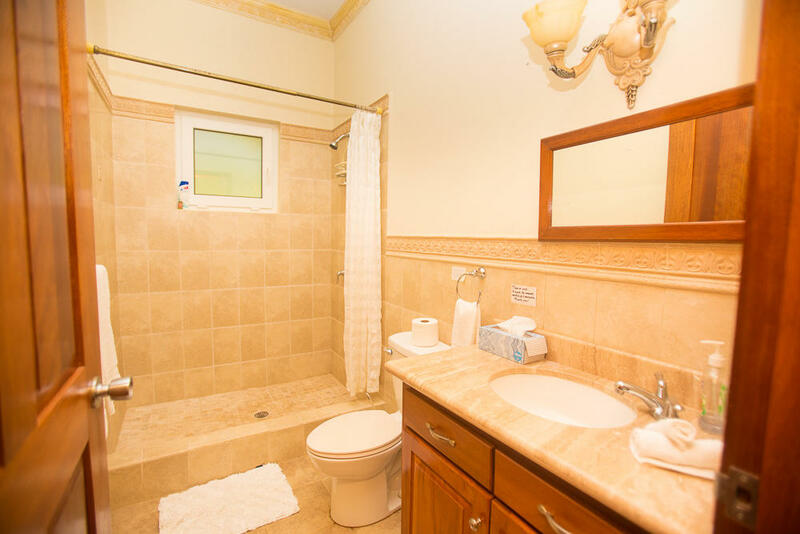 Located ideally between West Bay and West End. 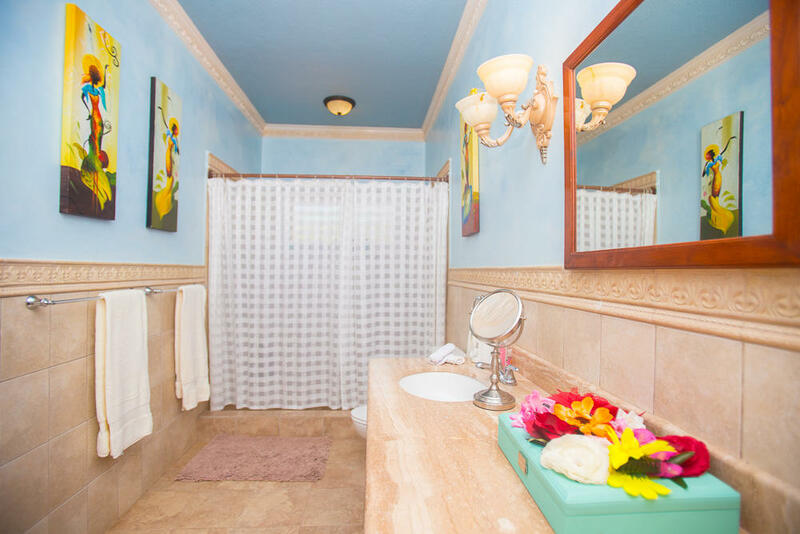 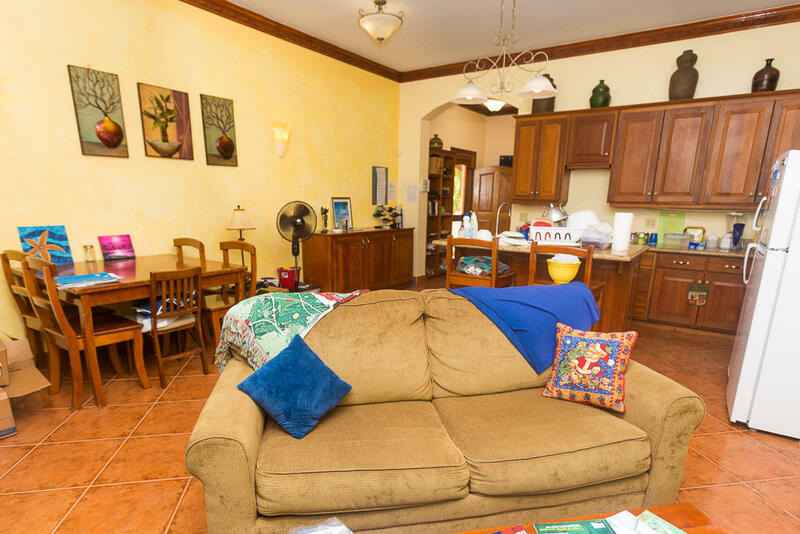 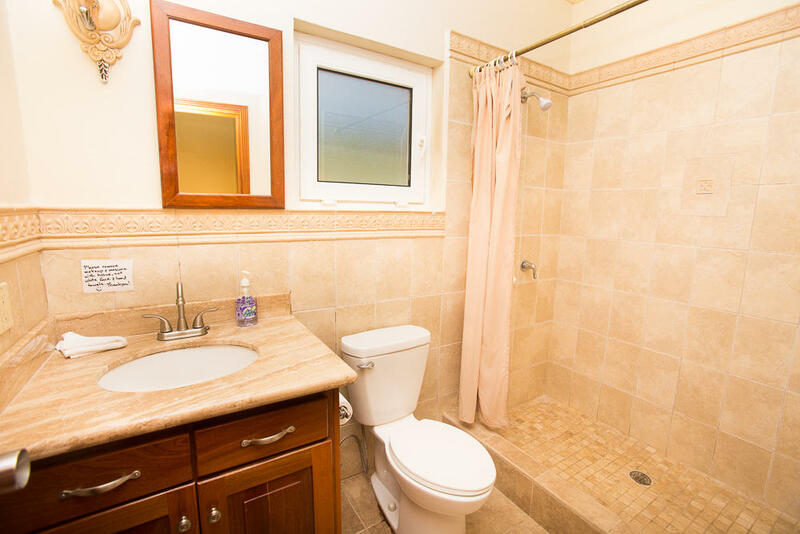 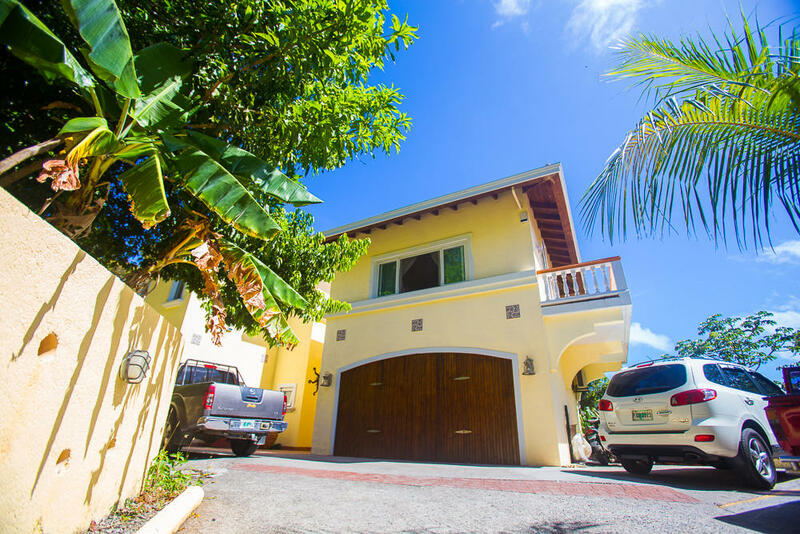 It's a short 5 minute walk to the deeded beach access or a 10 minute walk to West Bay Beach. 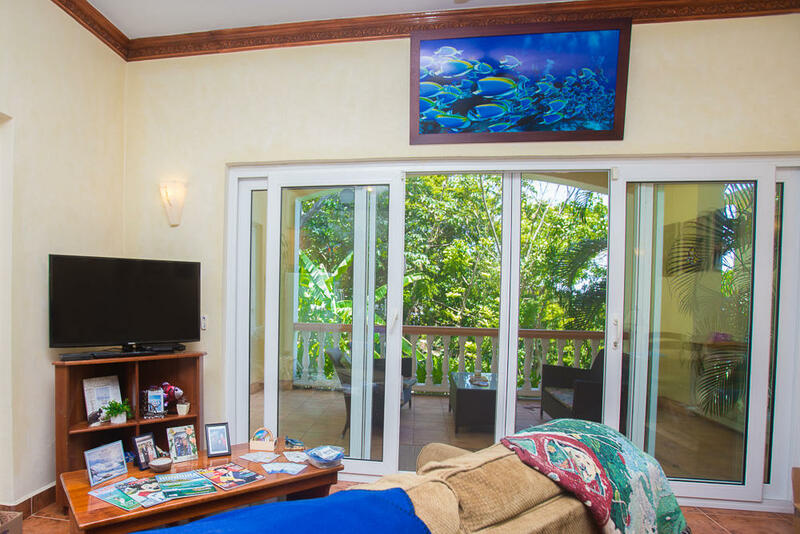 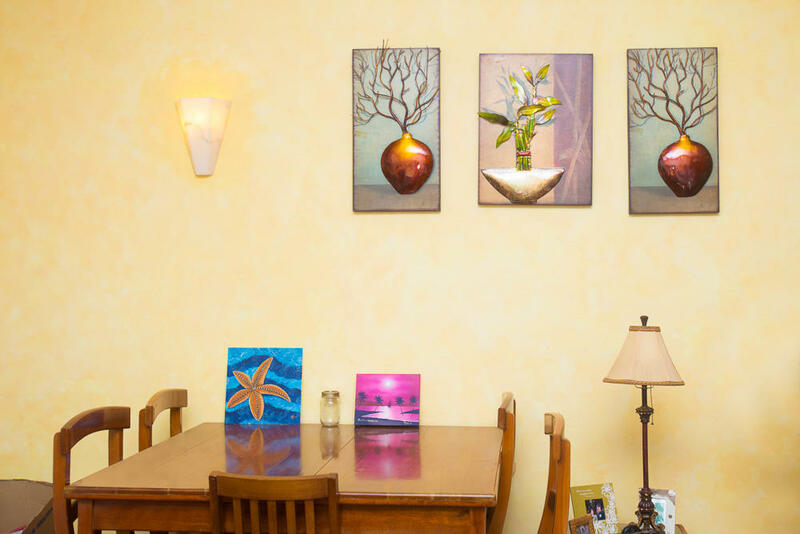 West Bay offers dive shops, restaurants, night life and shopping.